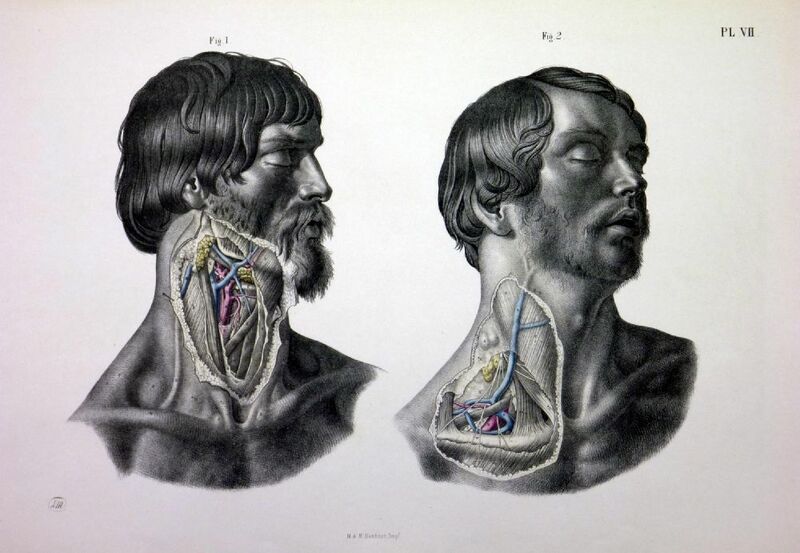 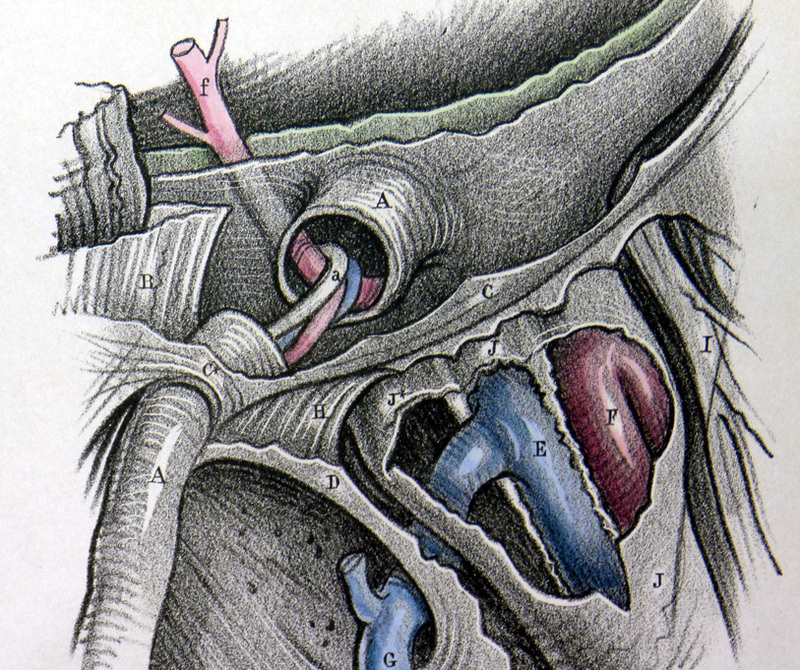 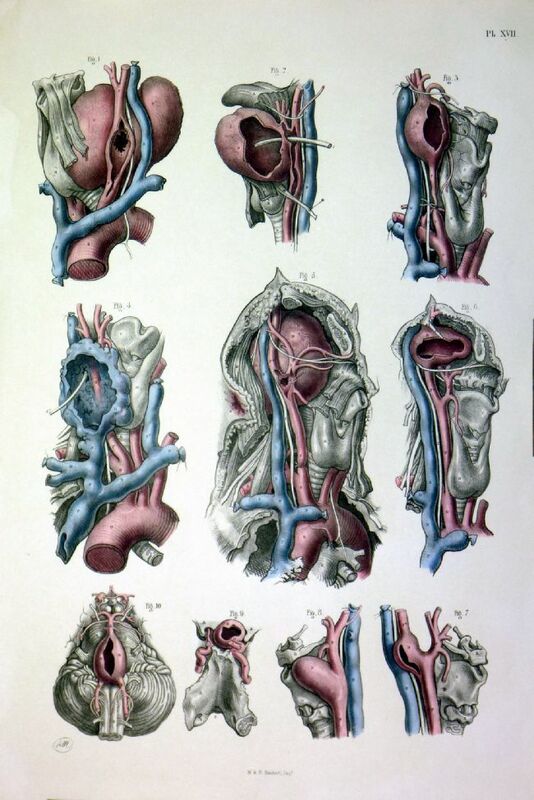 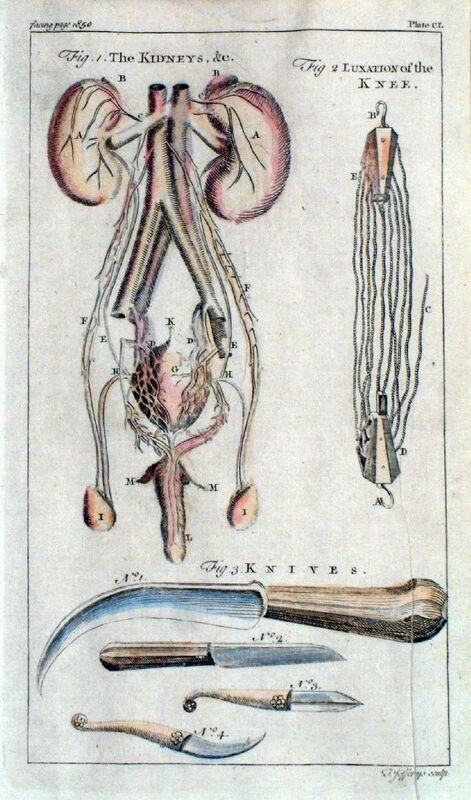 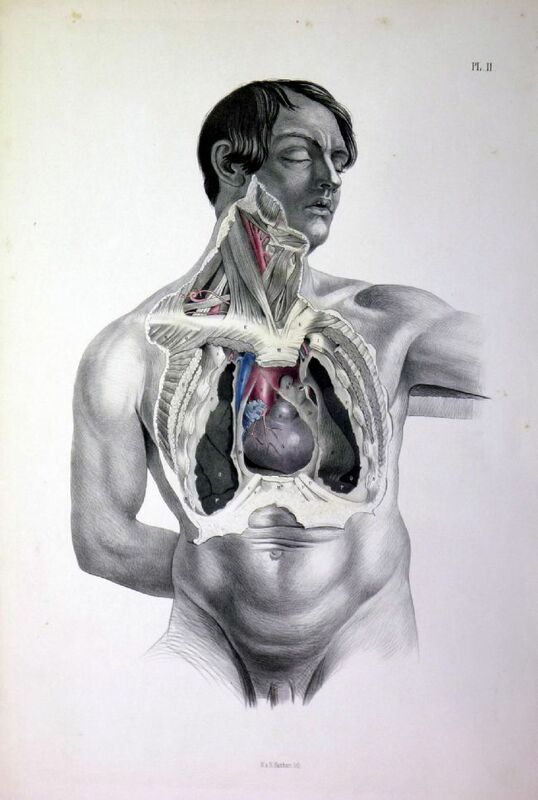 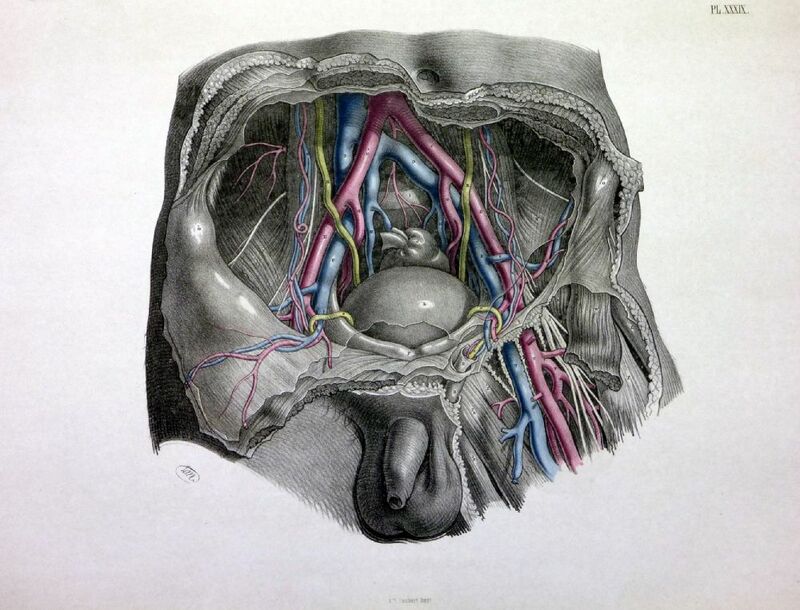 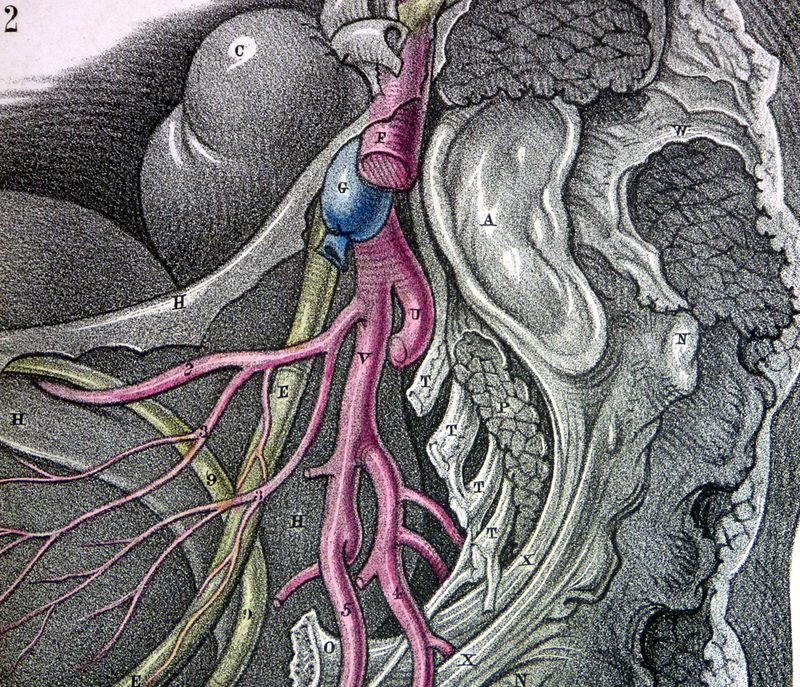 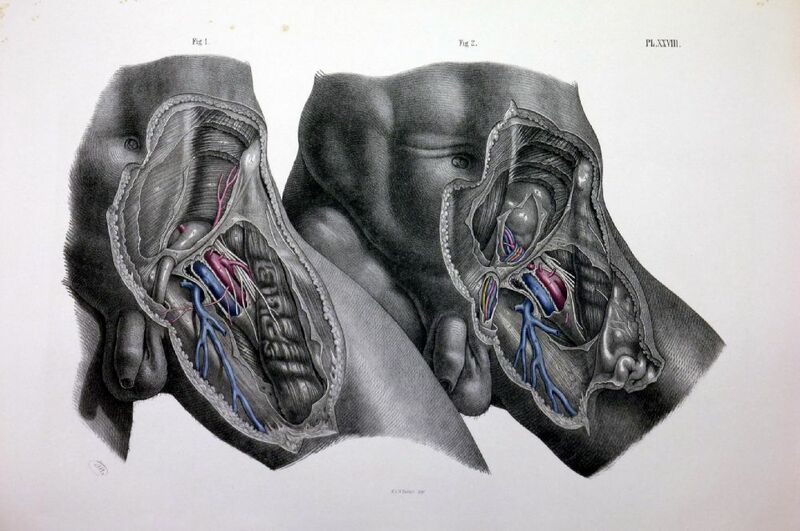 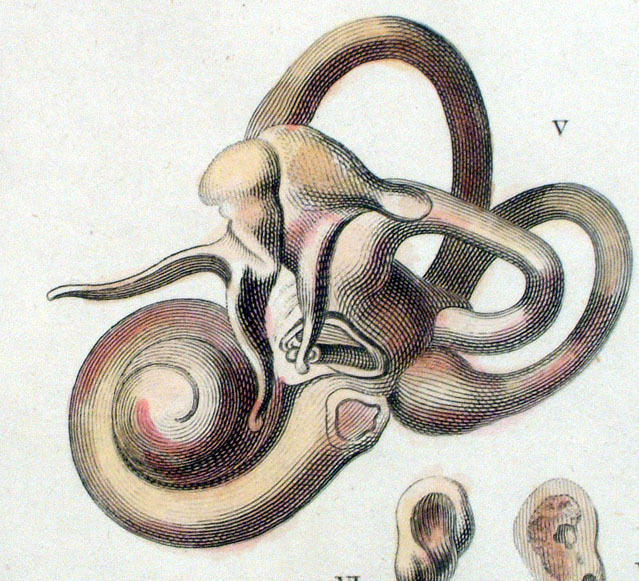 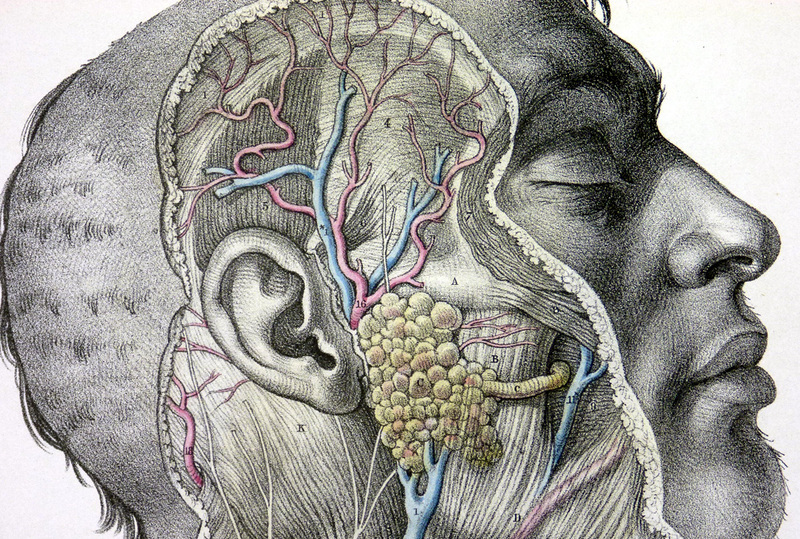 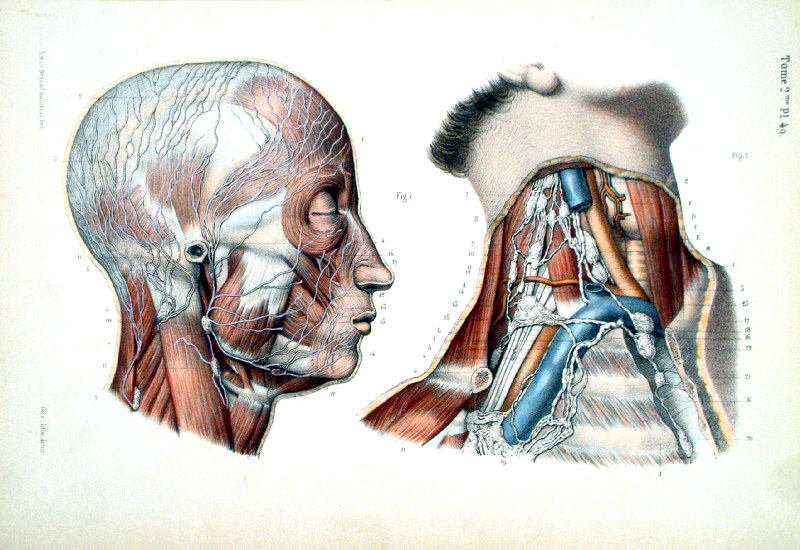 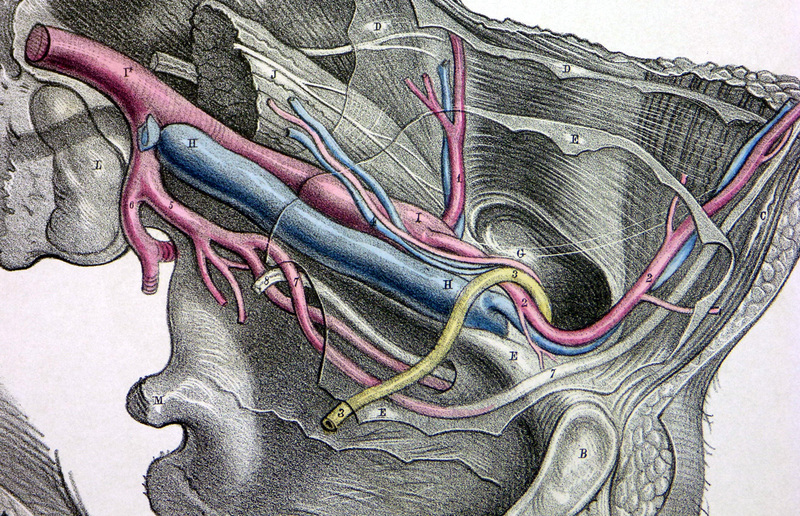 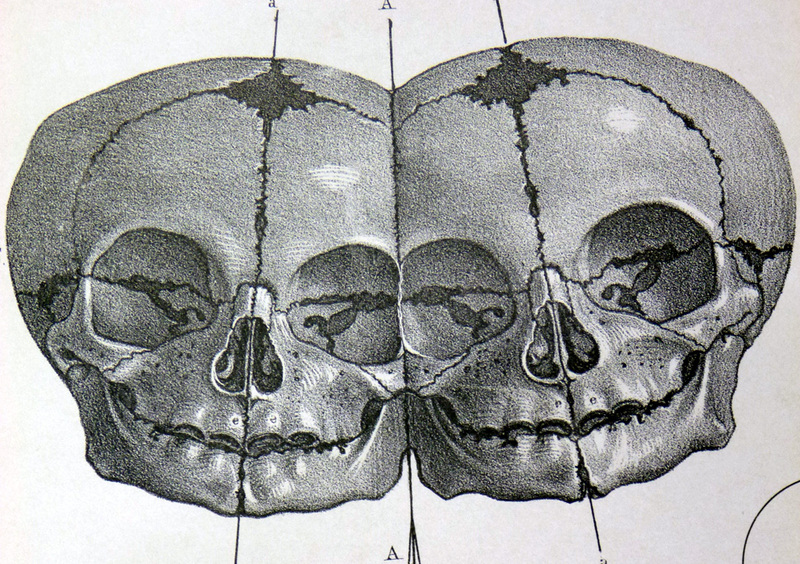 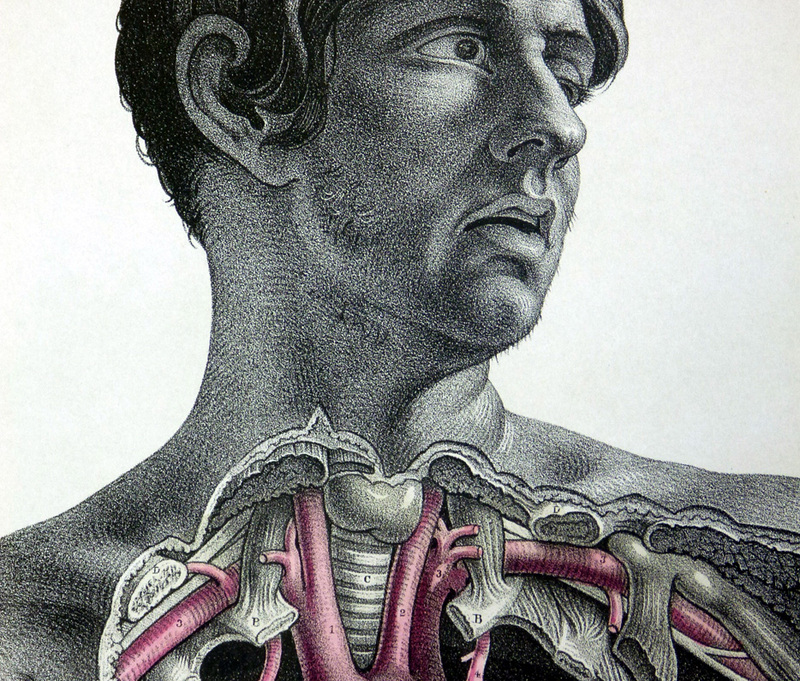 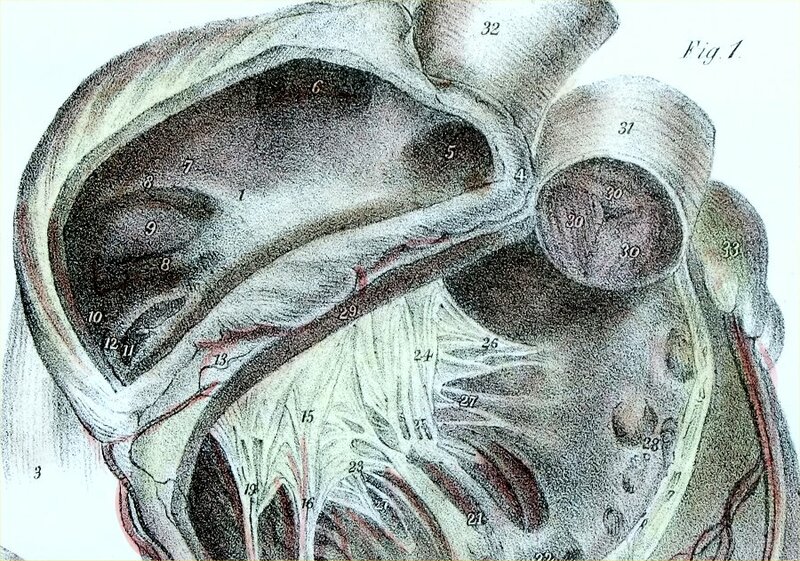 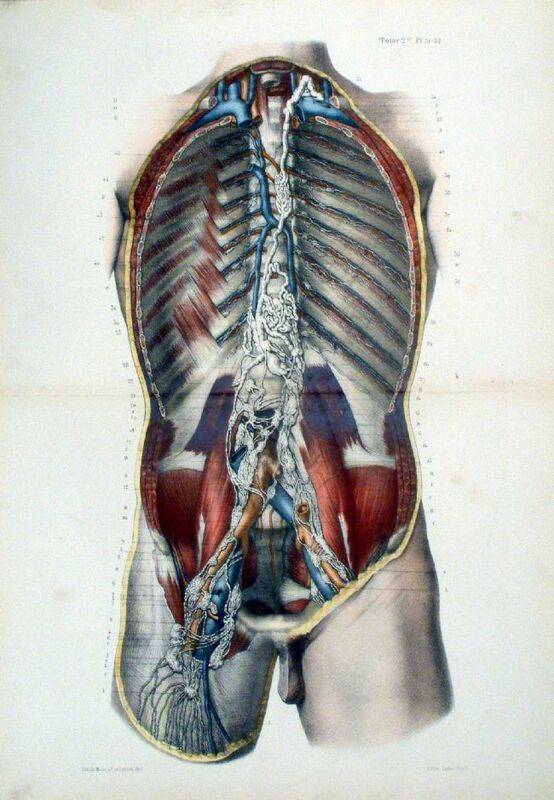 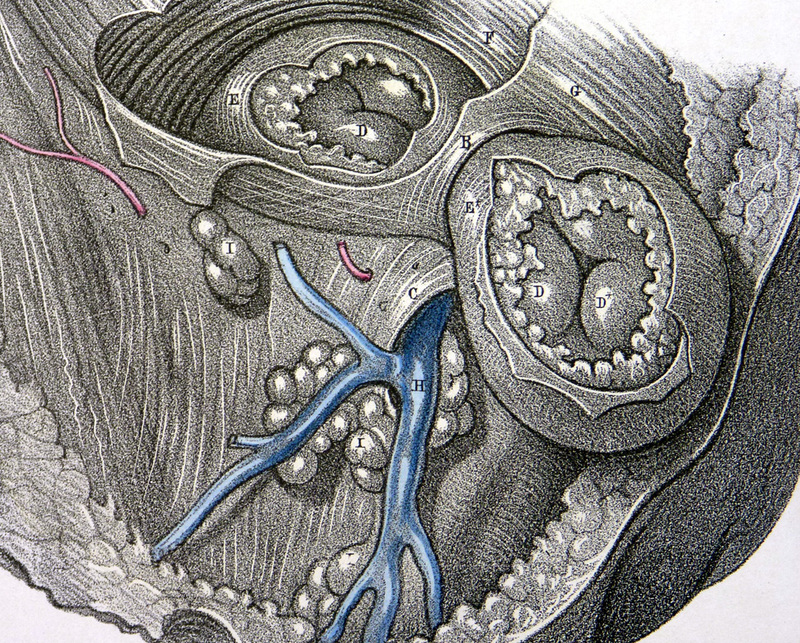 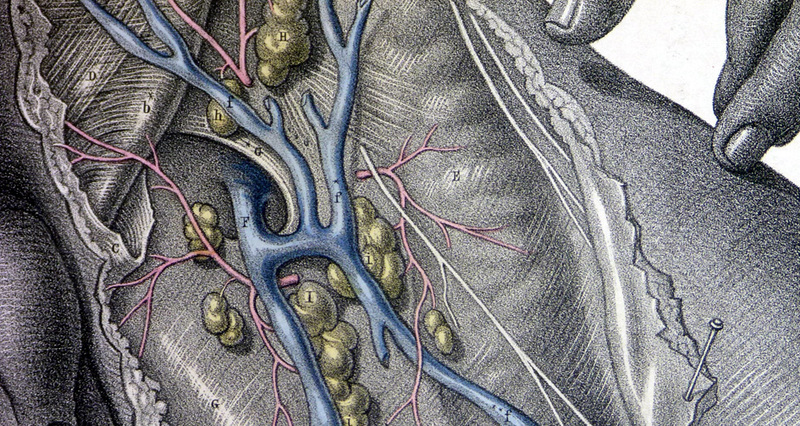 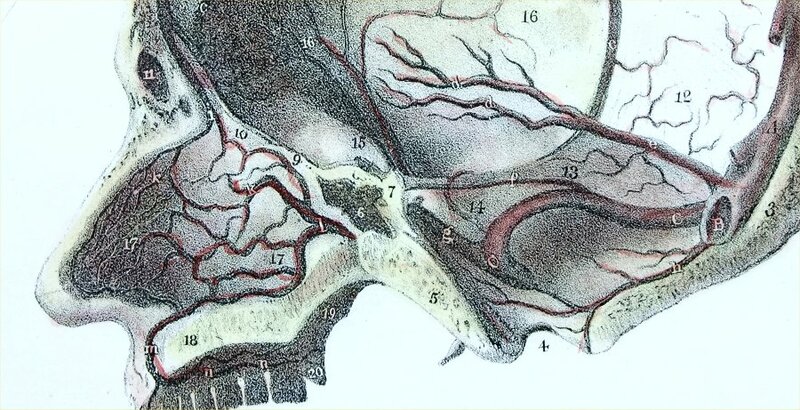 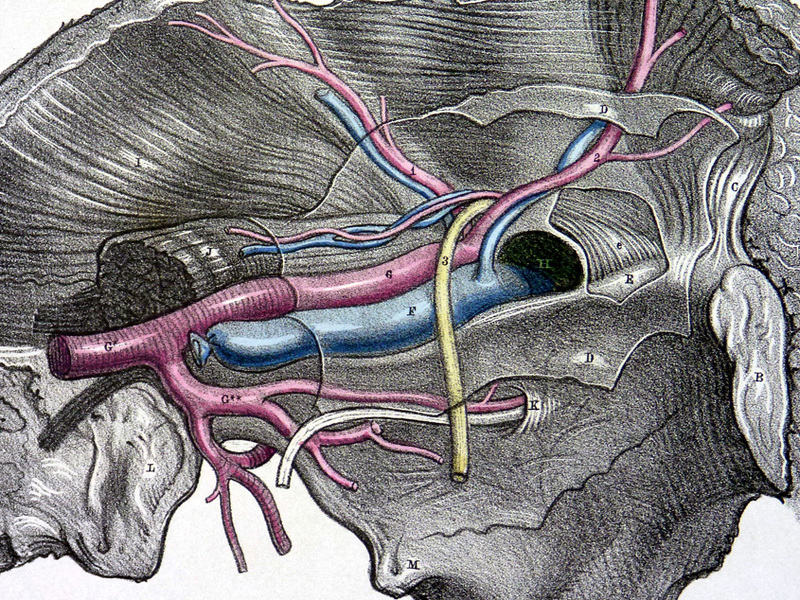 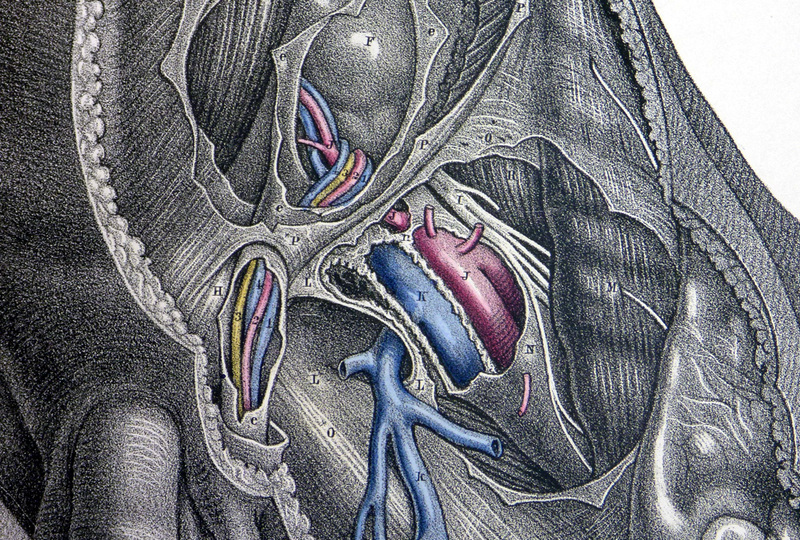 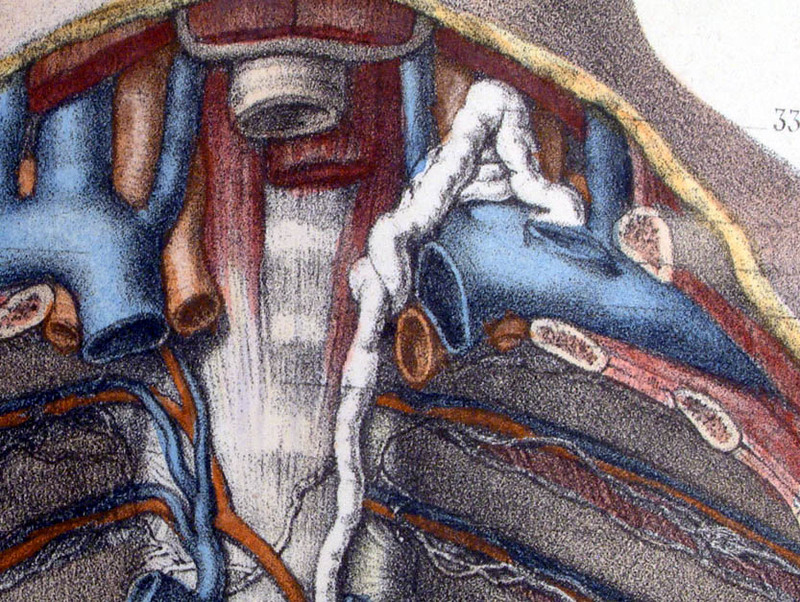 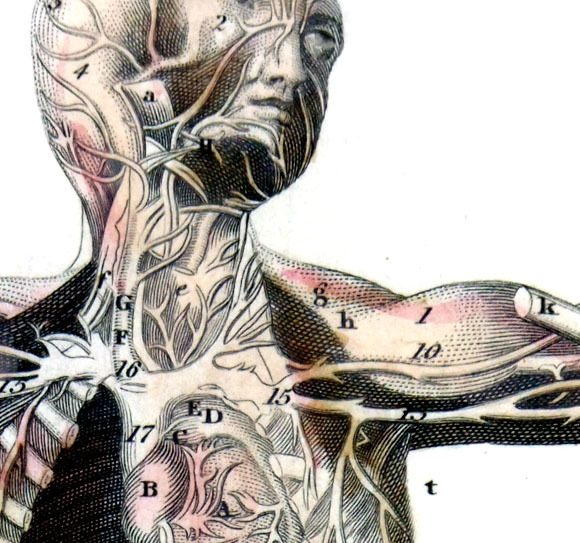 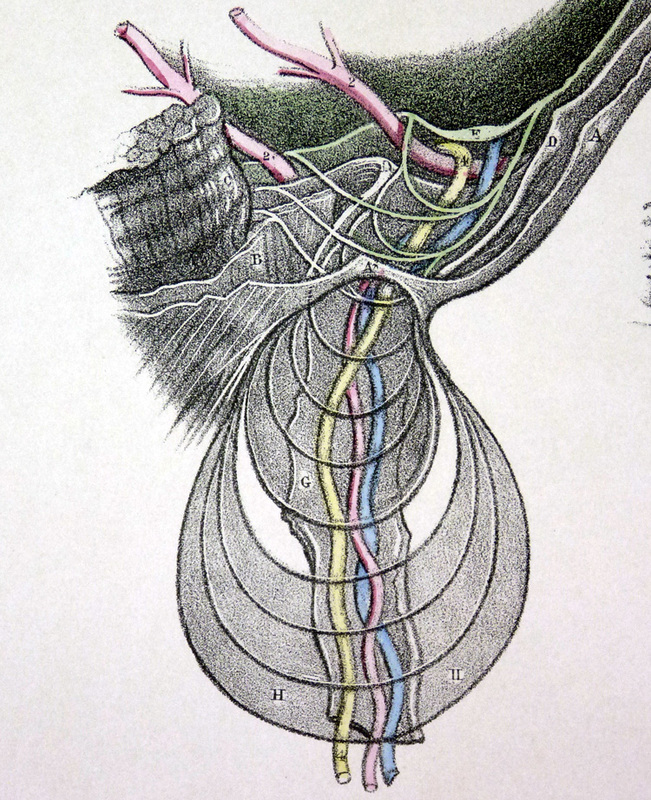 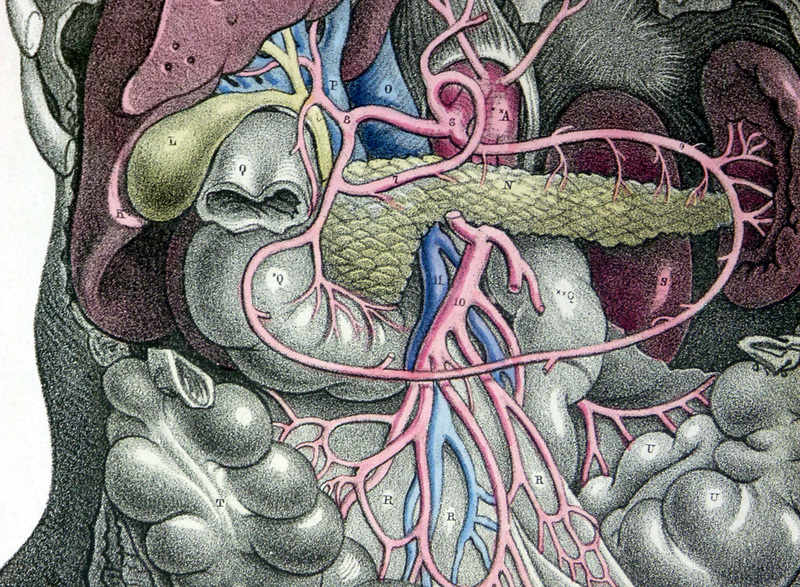 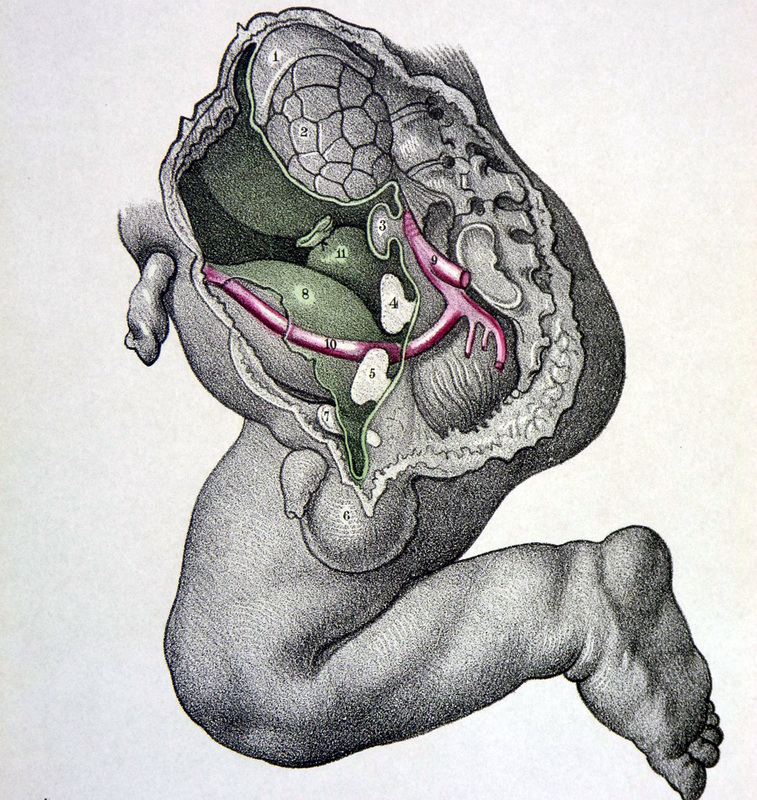 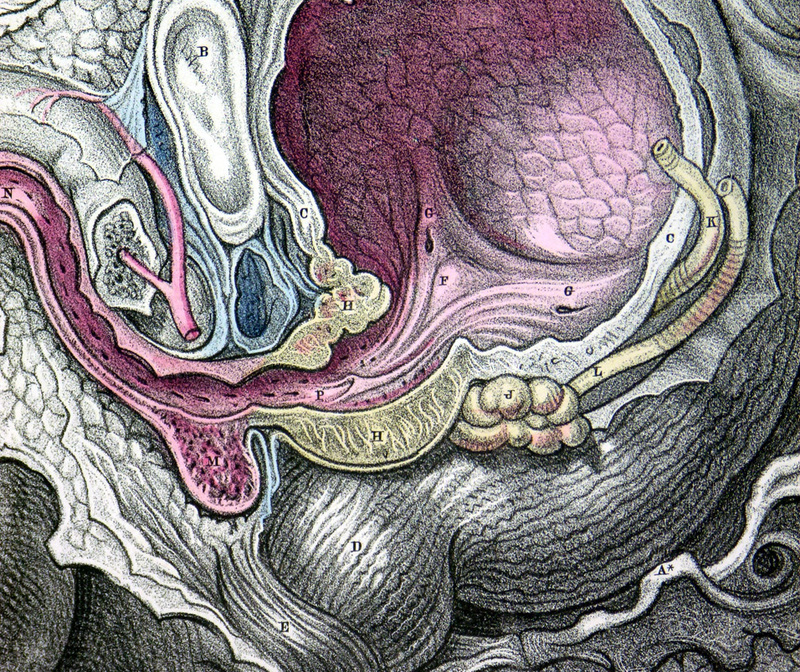 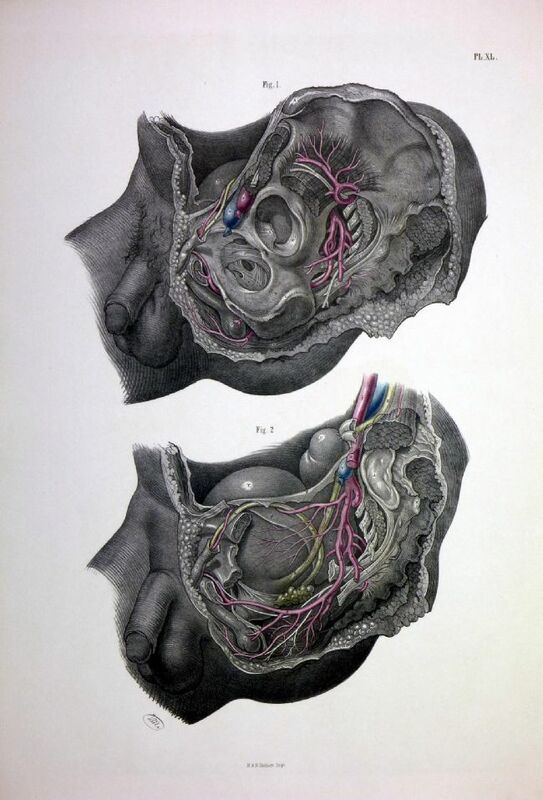 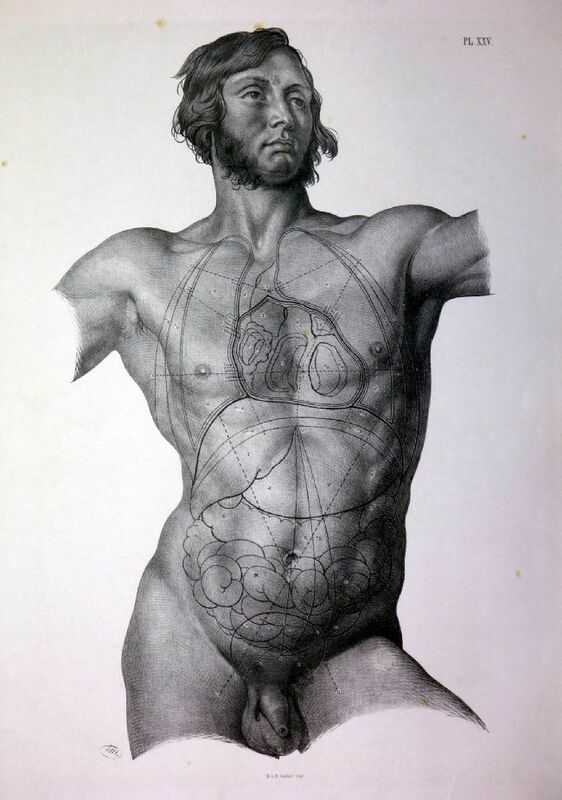 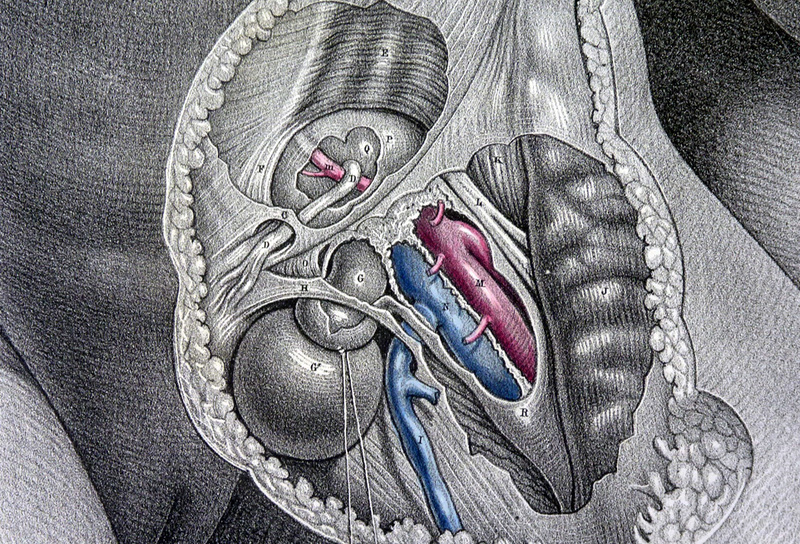 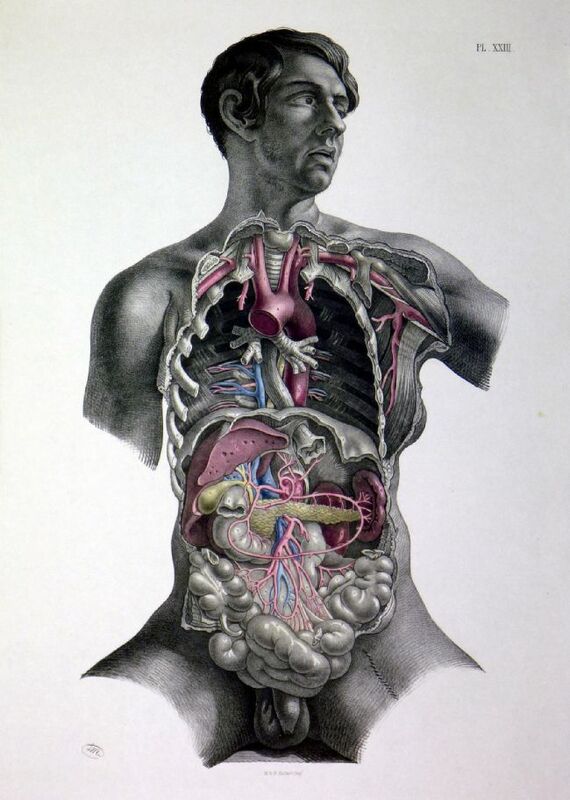 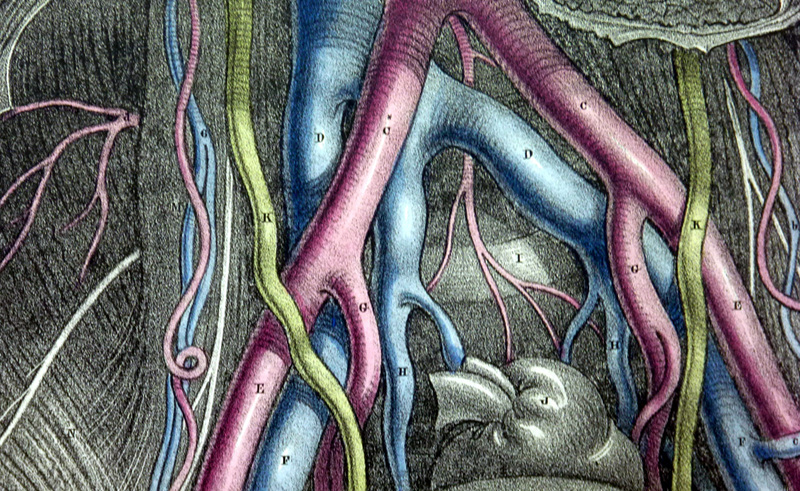 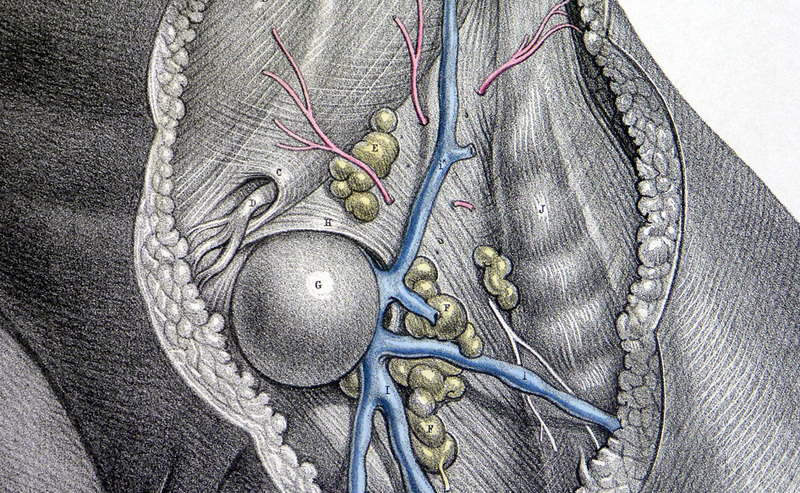 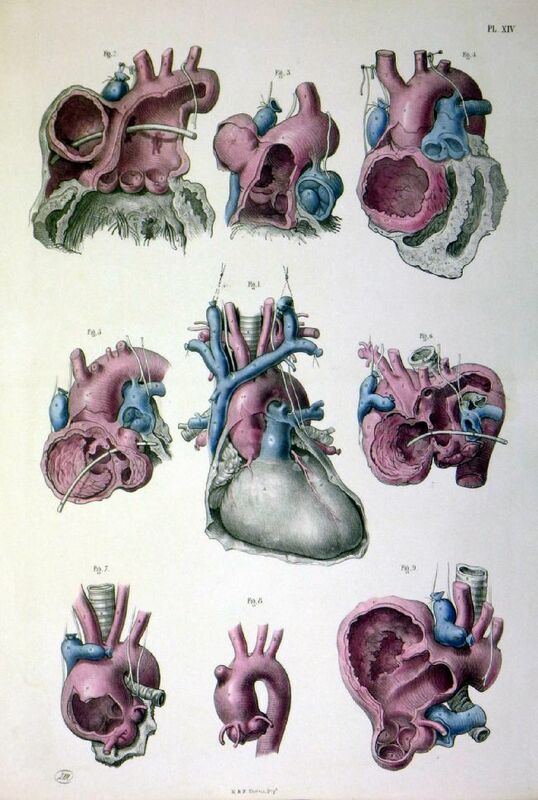 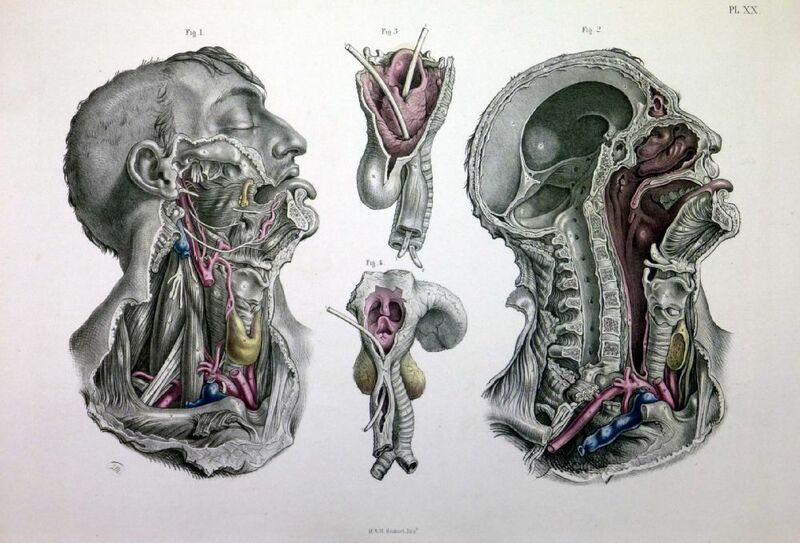 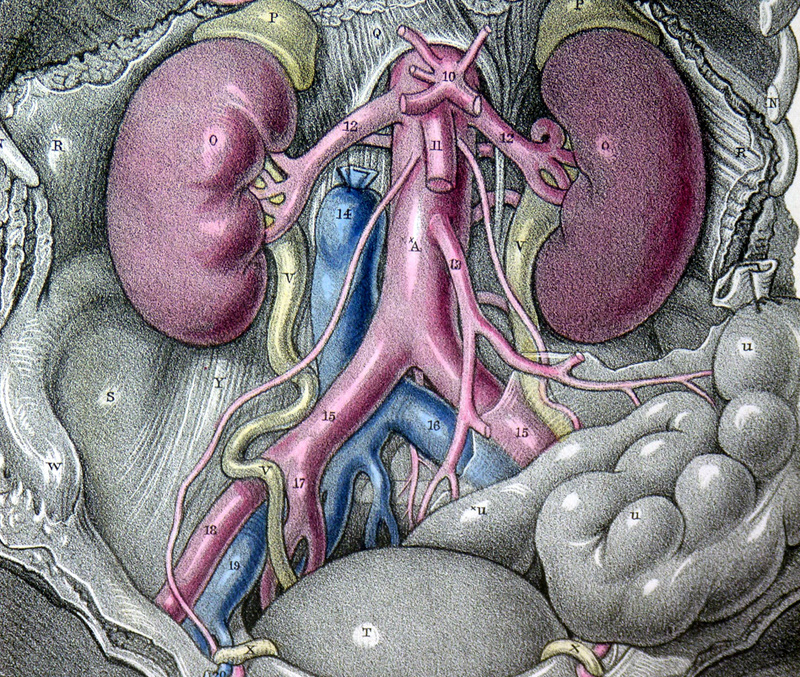 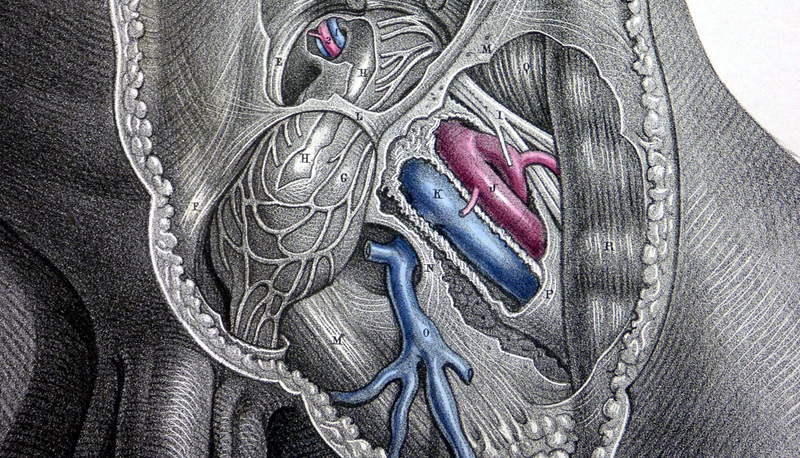 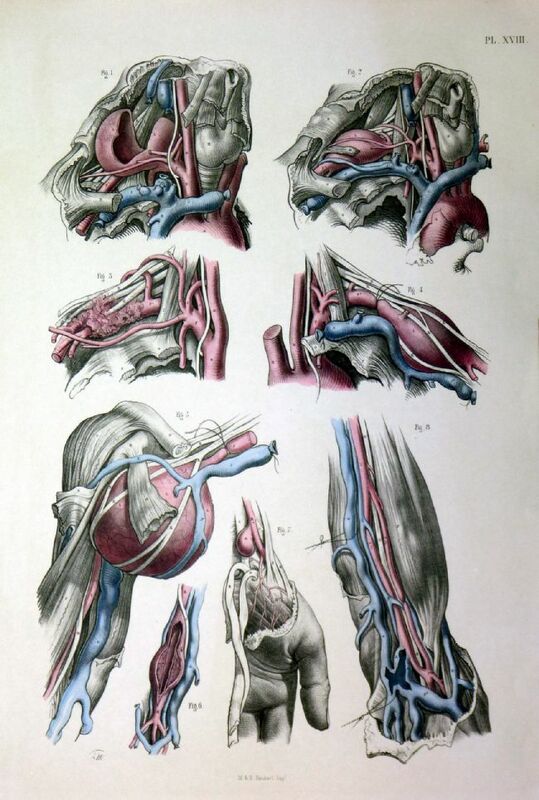 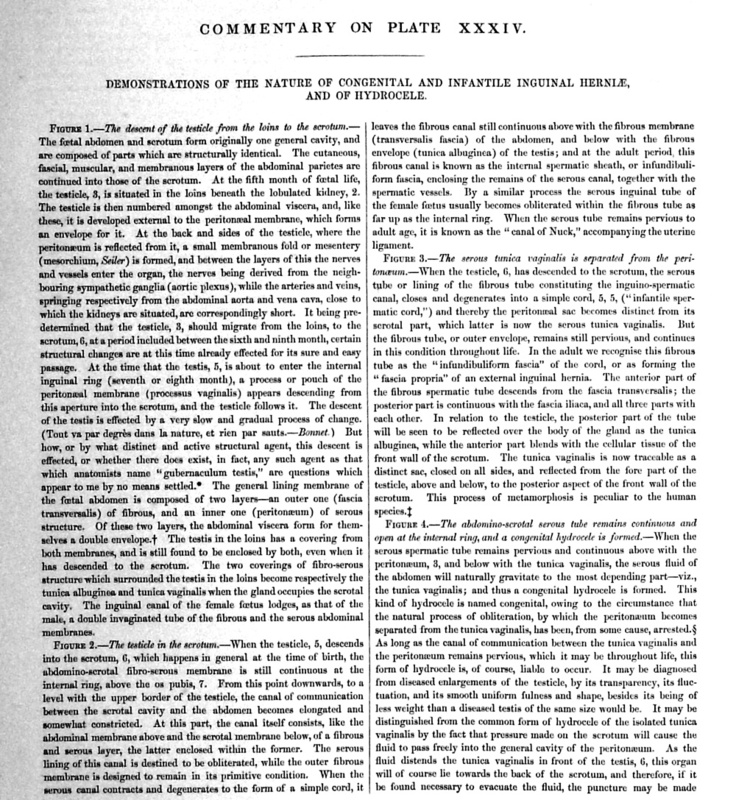 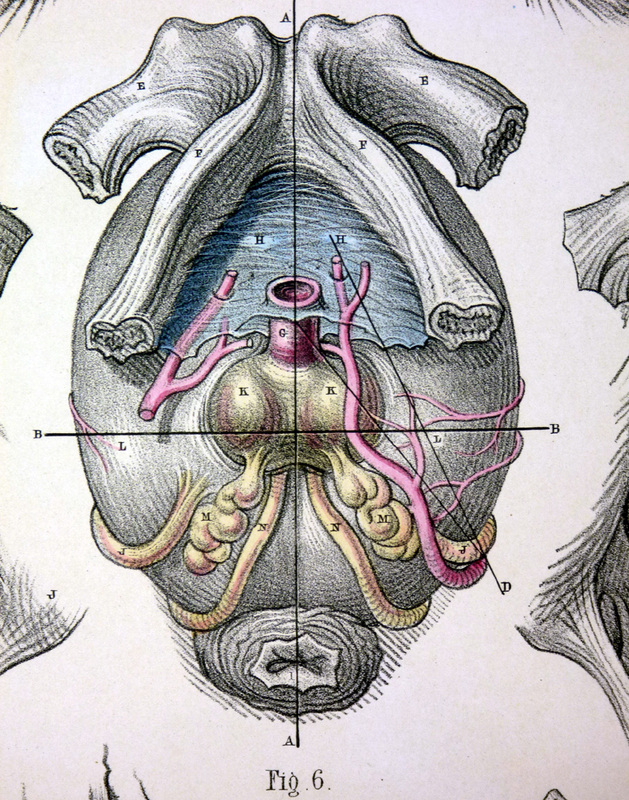 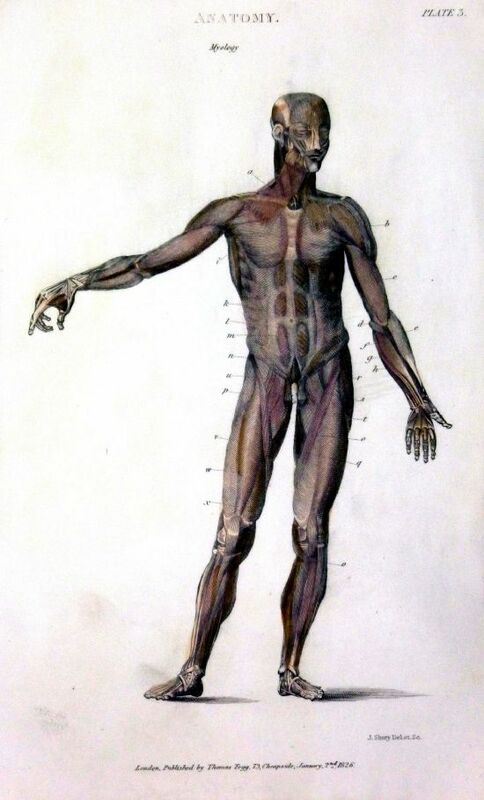 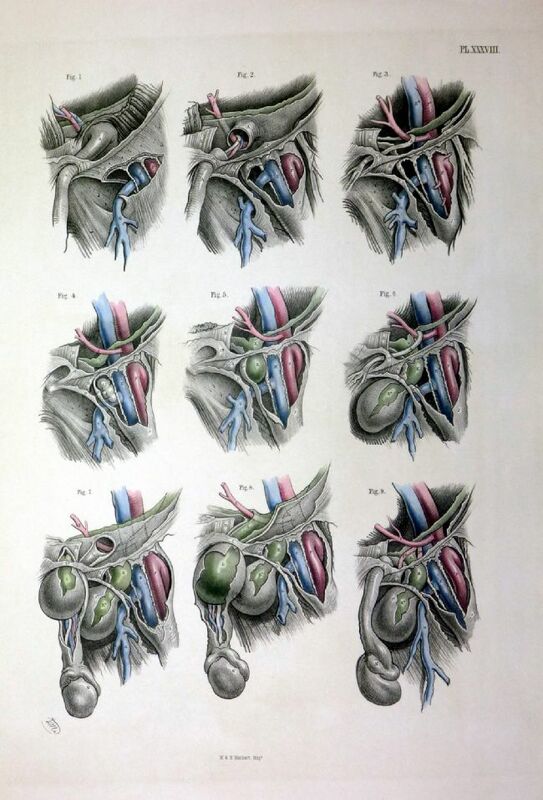 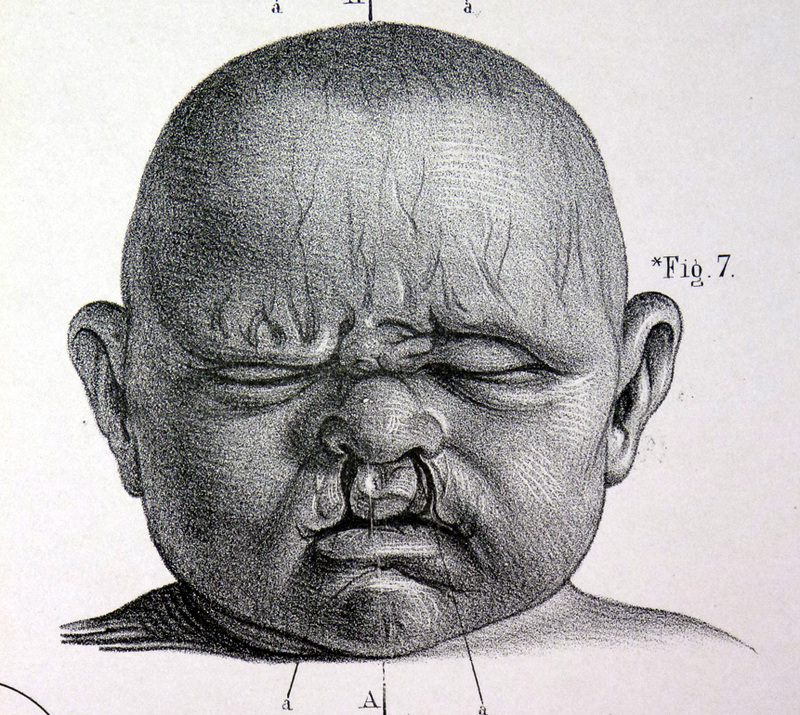 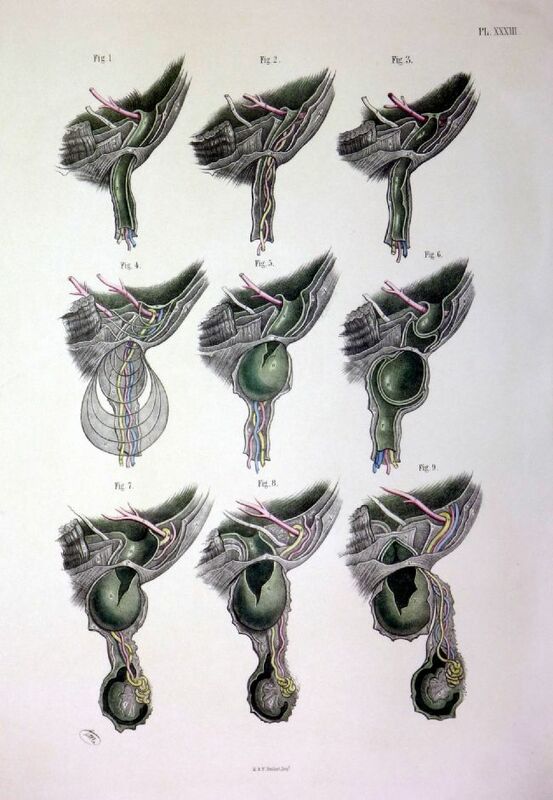 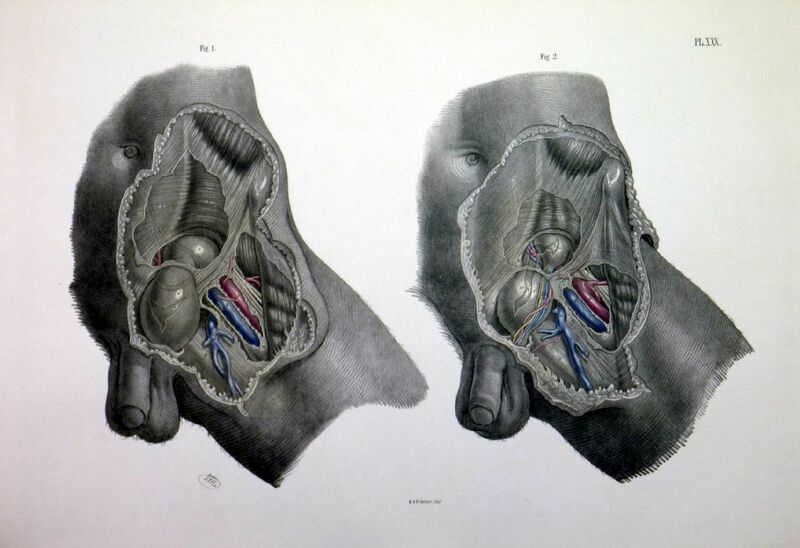 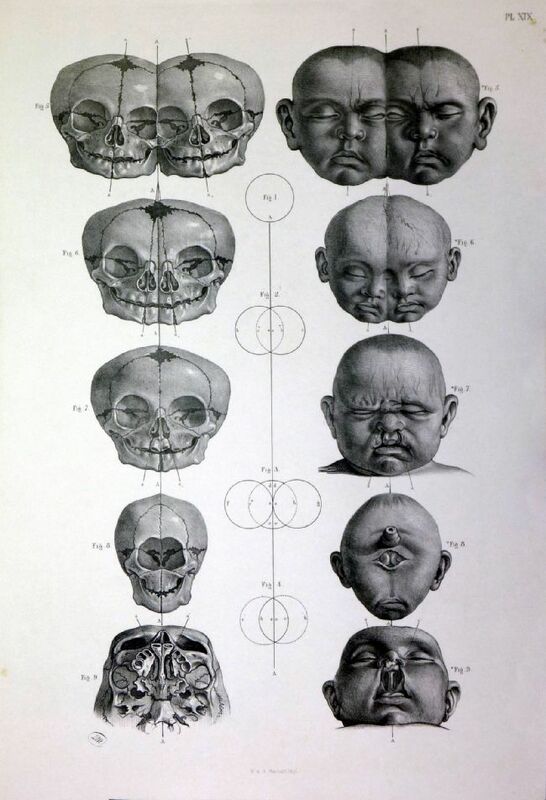 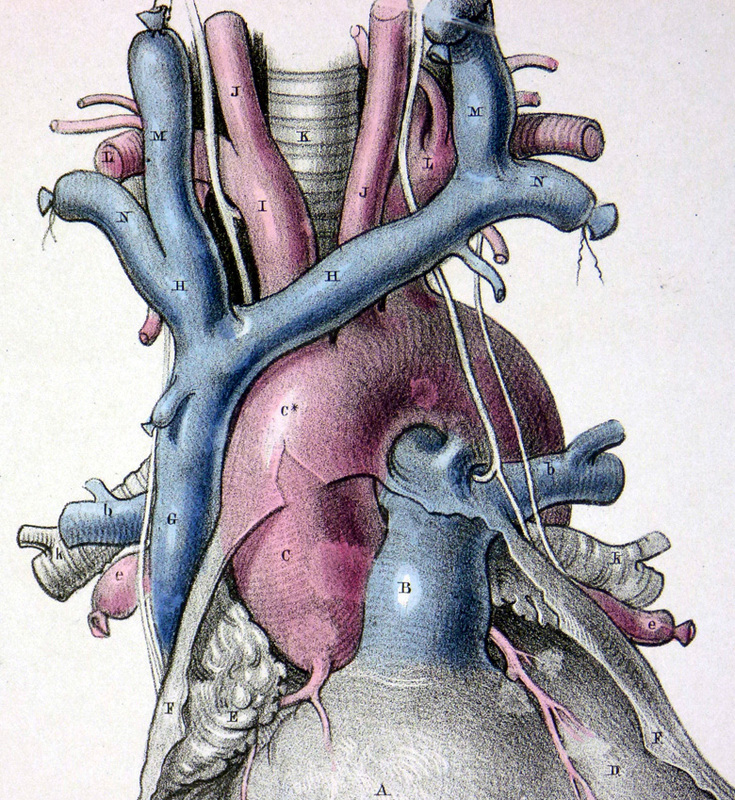 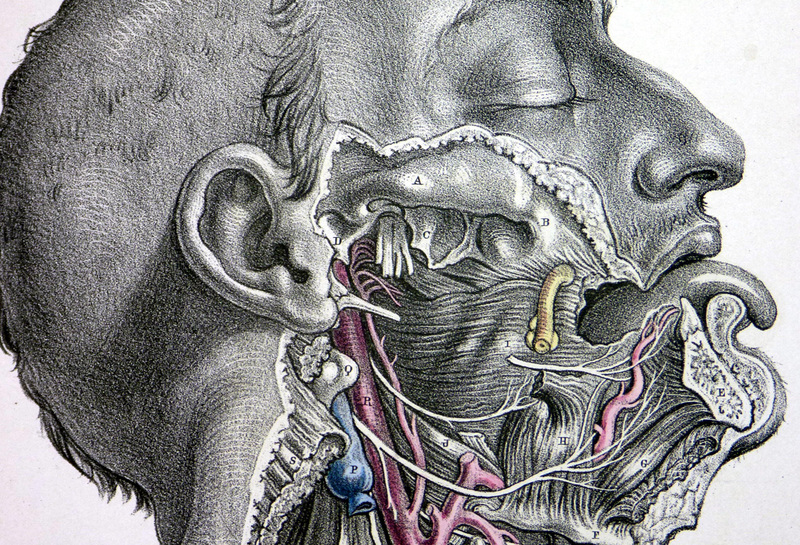 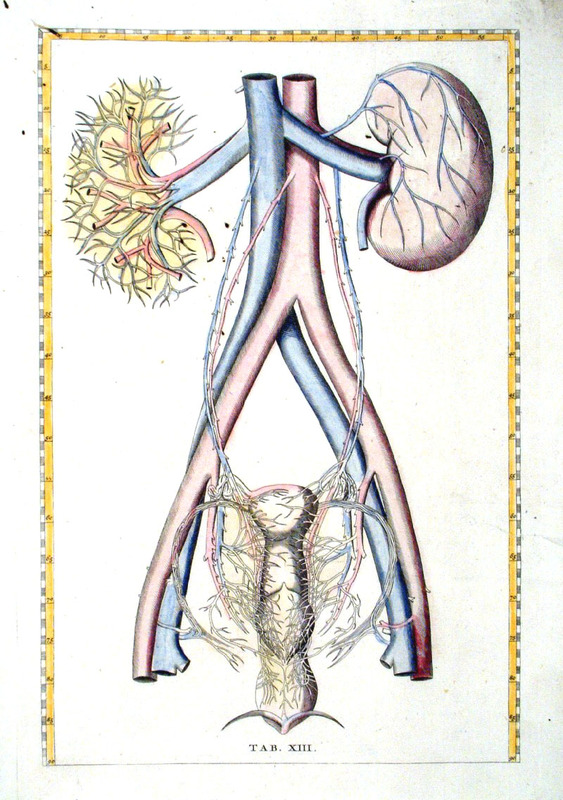 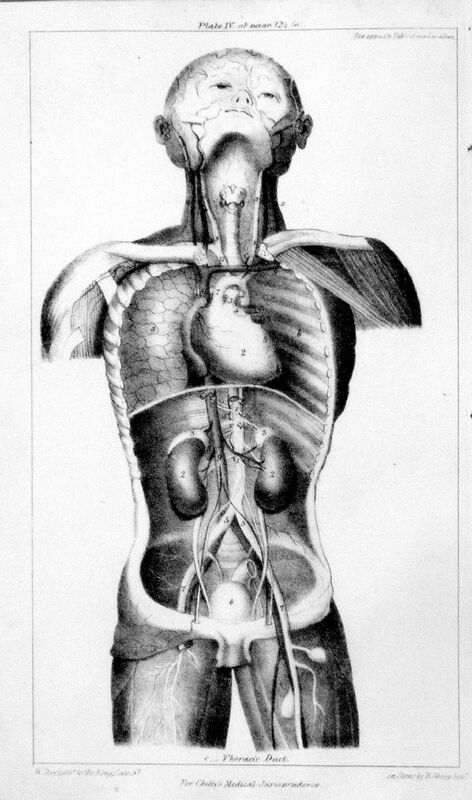 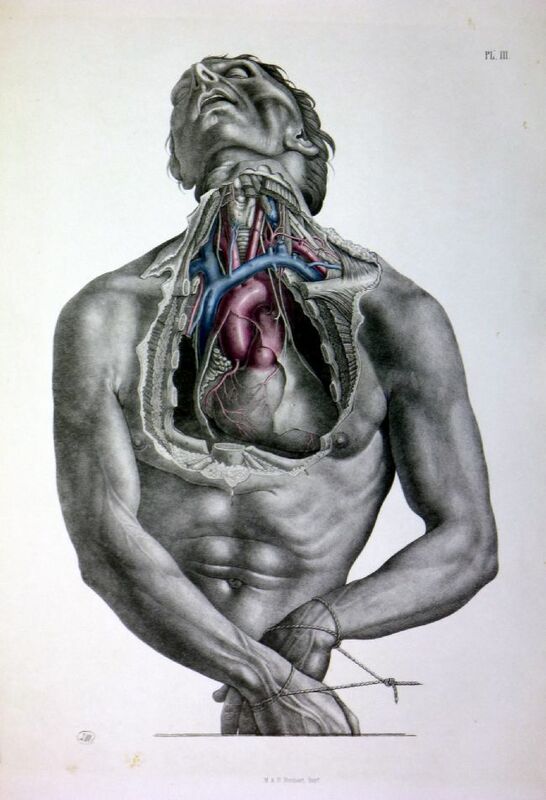 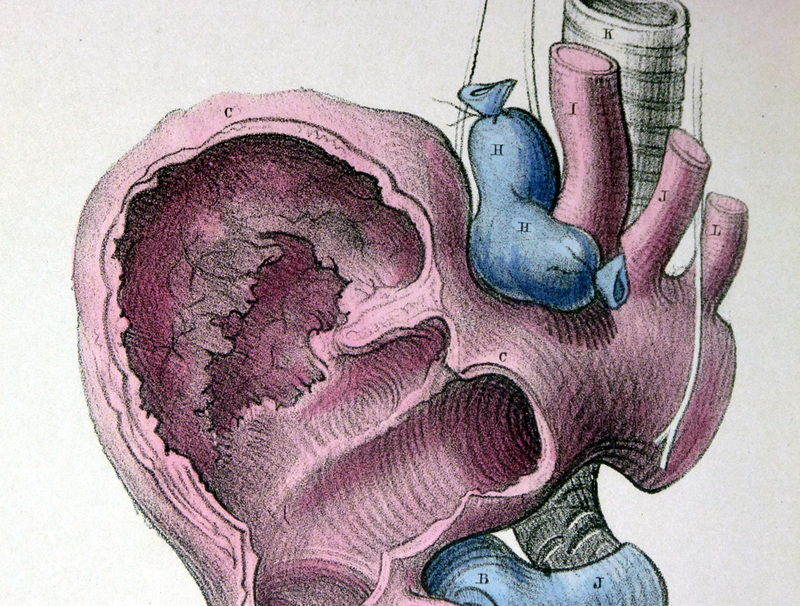 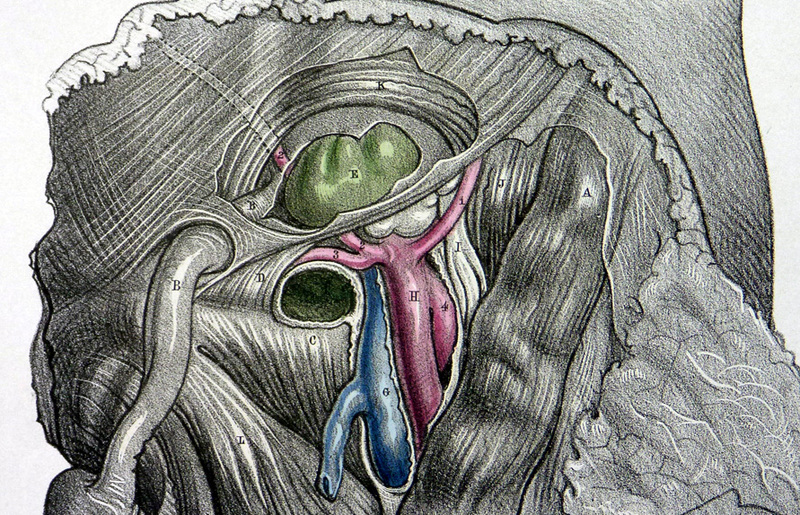 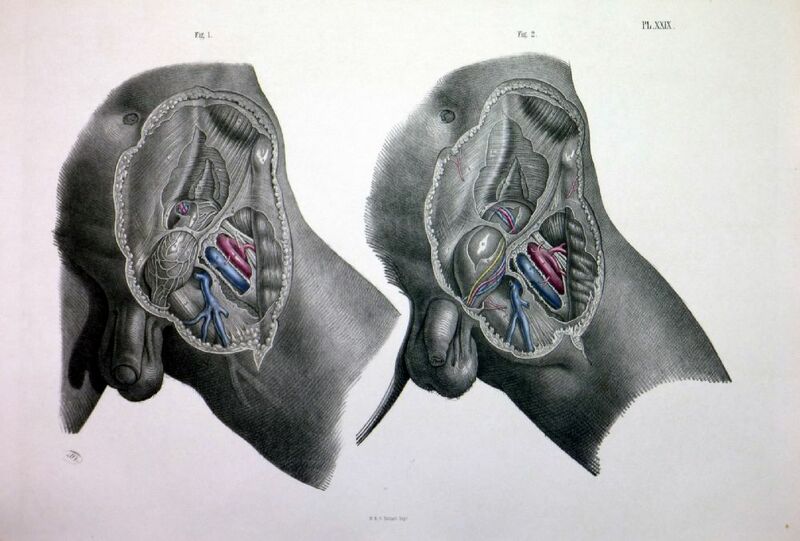 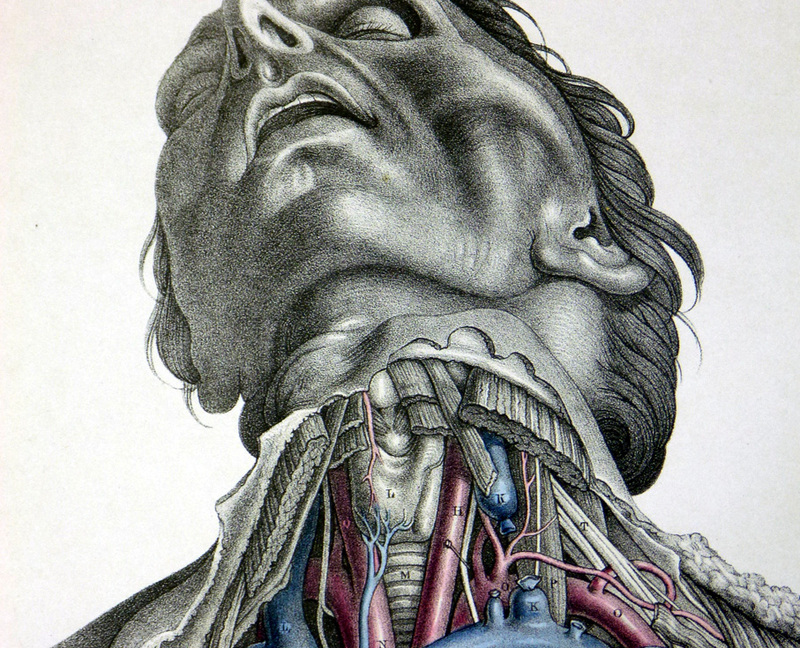 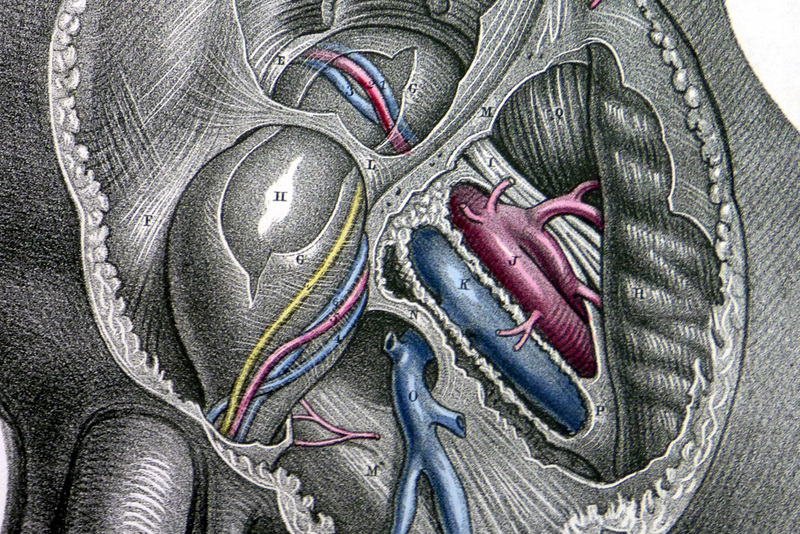 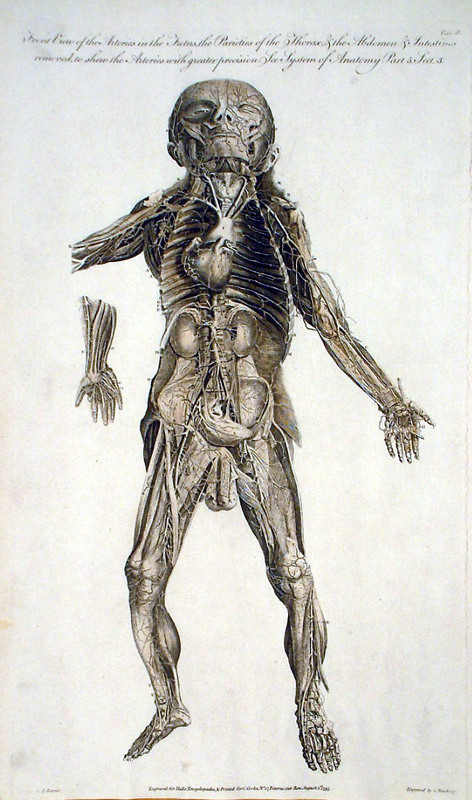 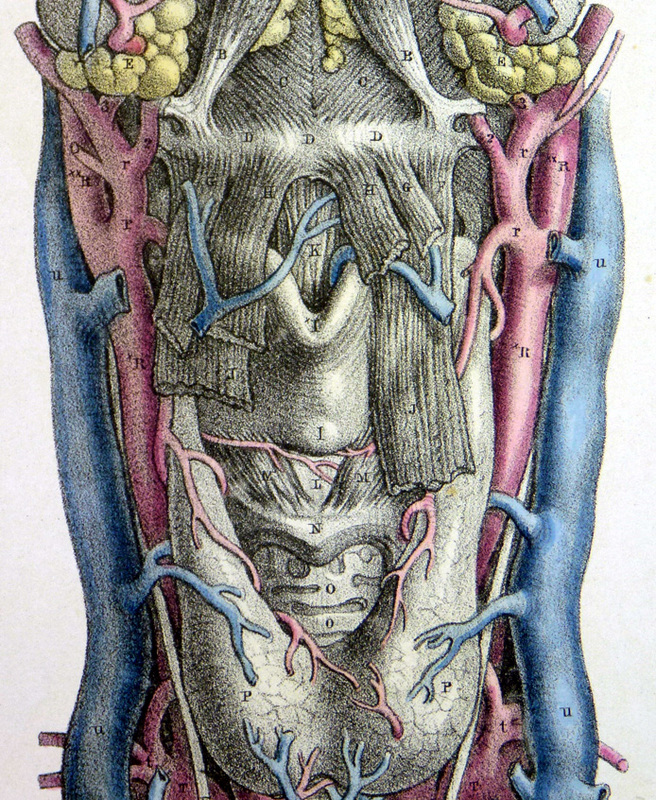 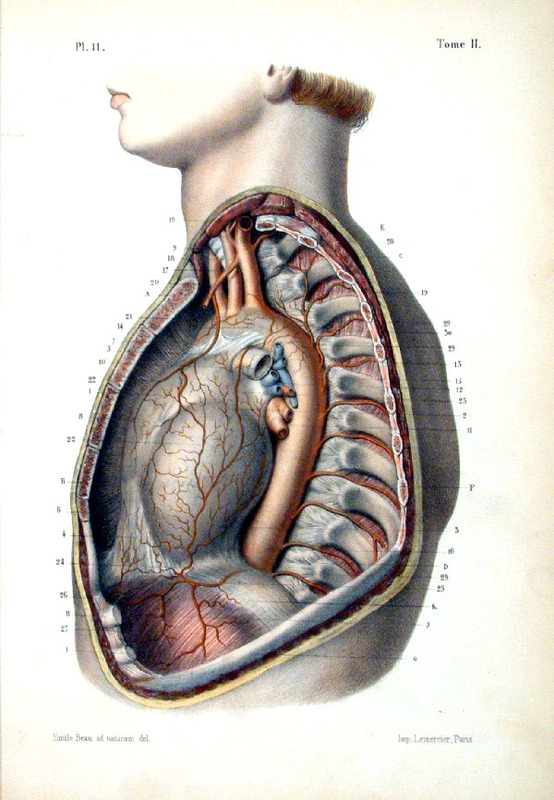 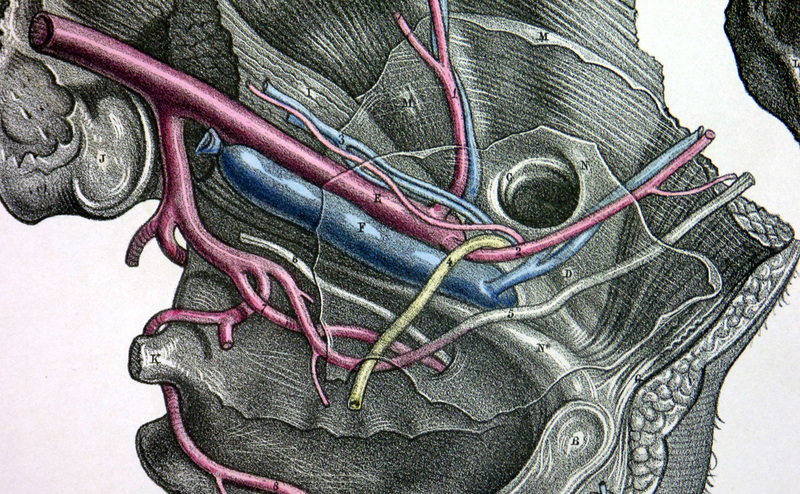 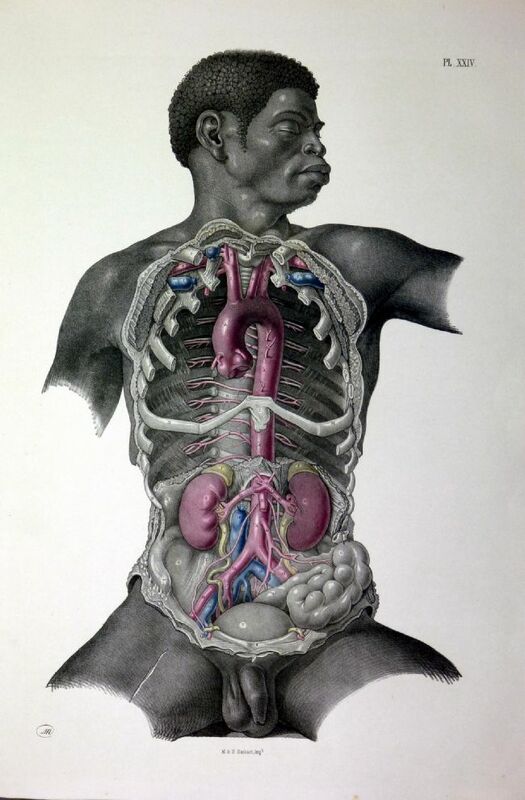 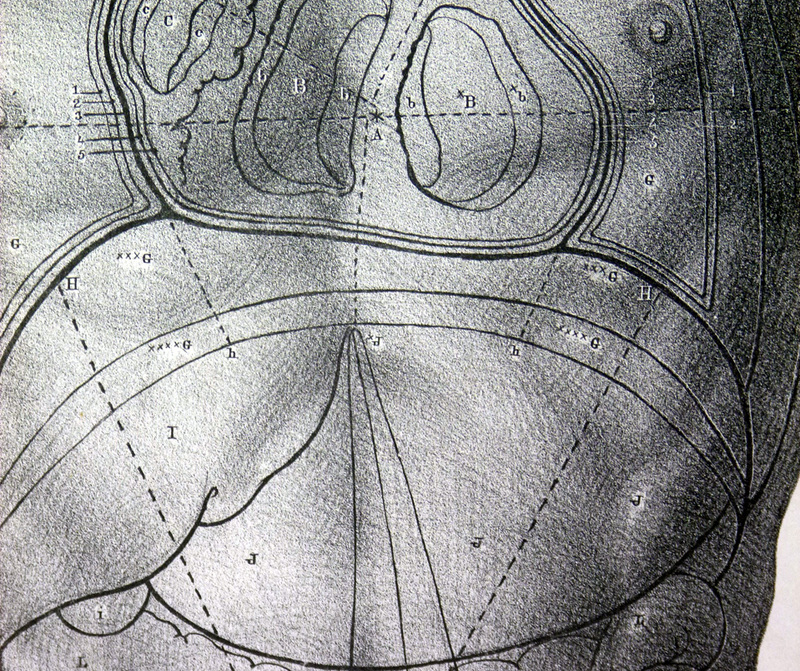 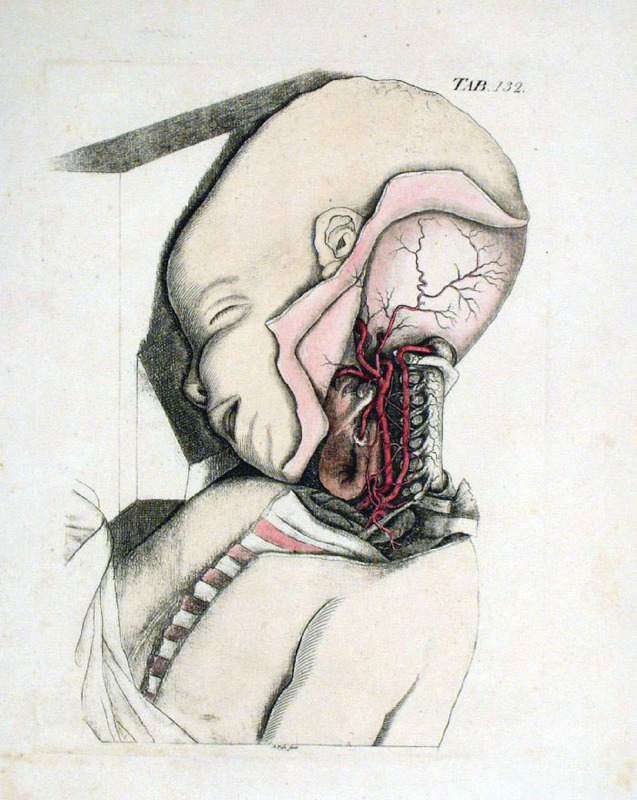 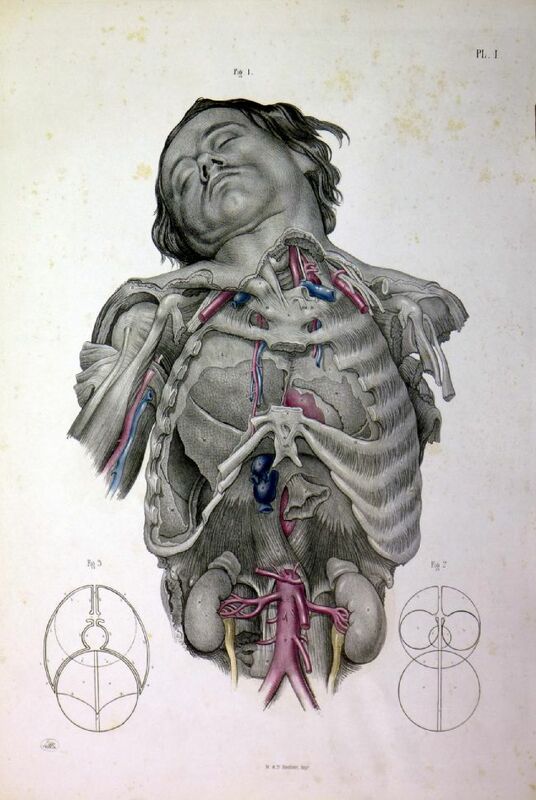 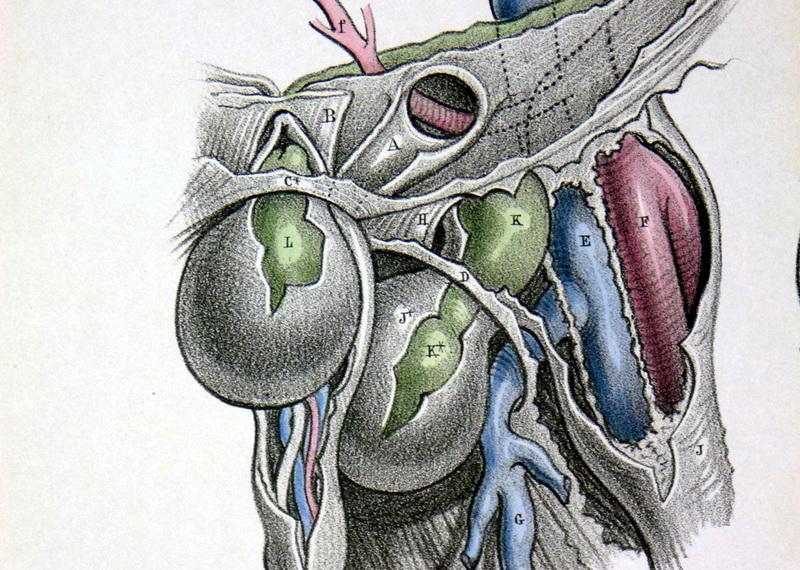 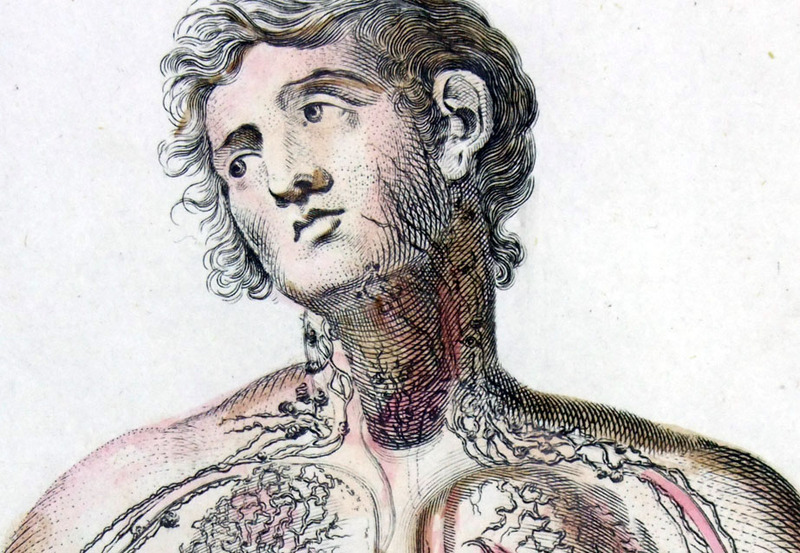 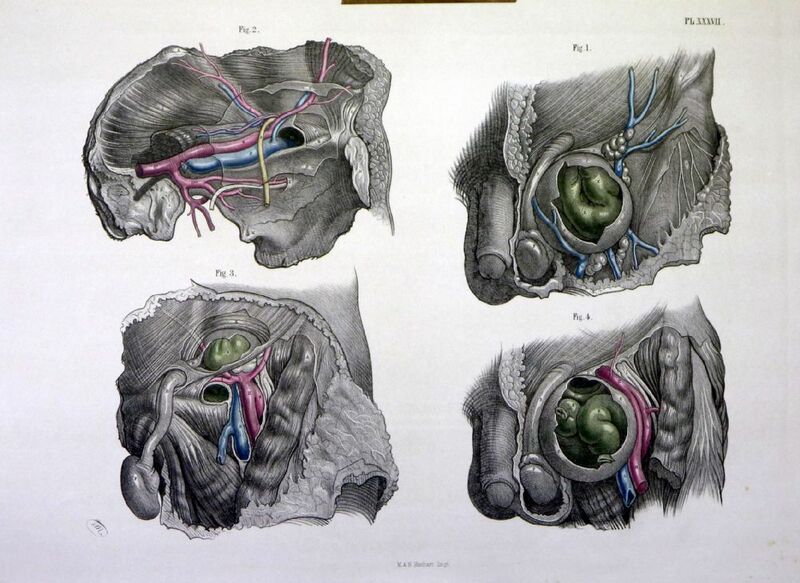 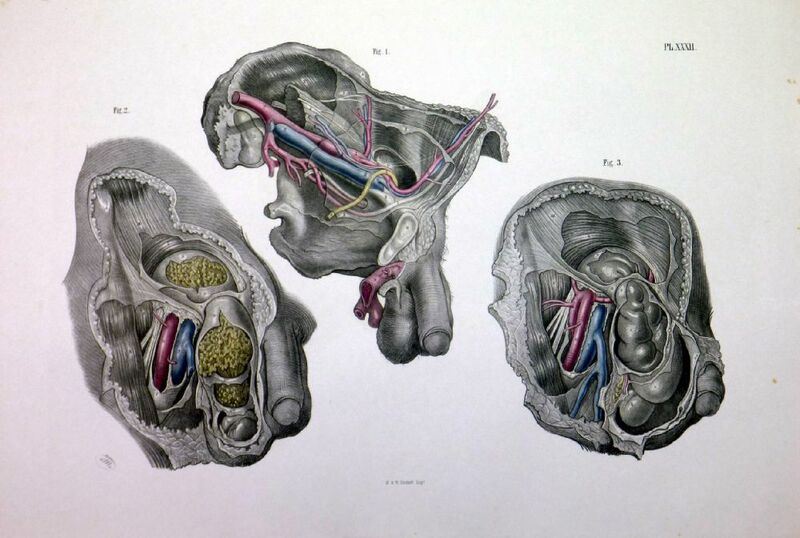 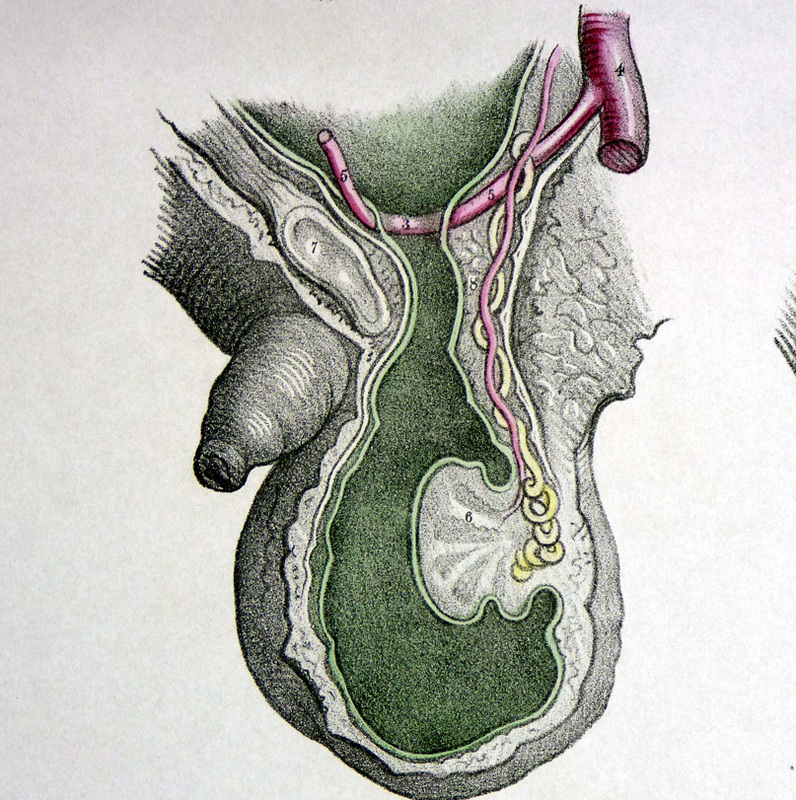 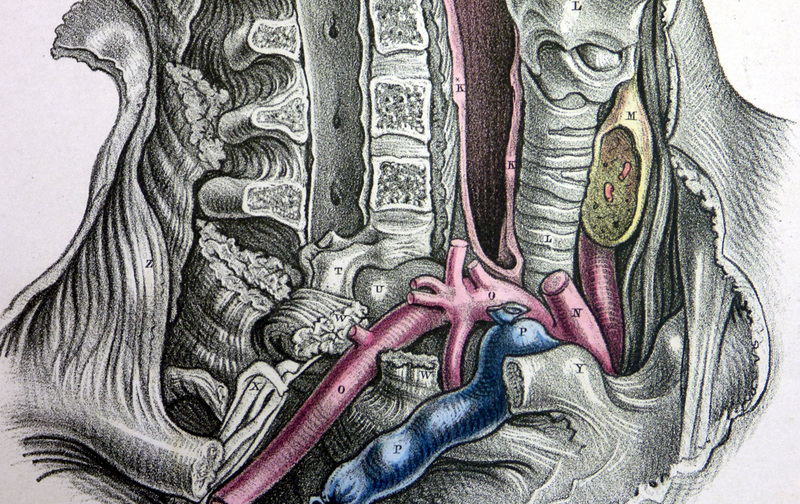 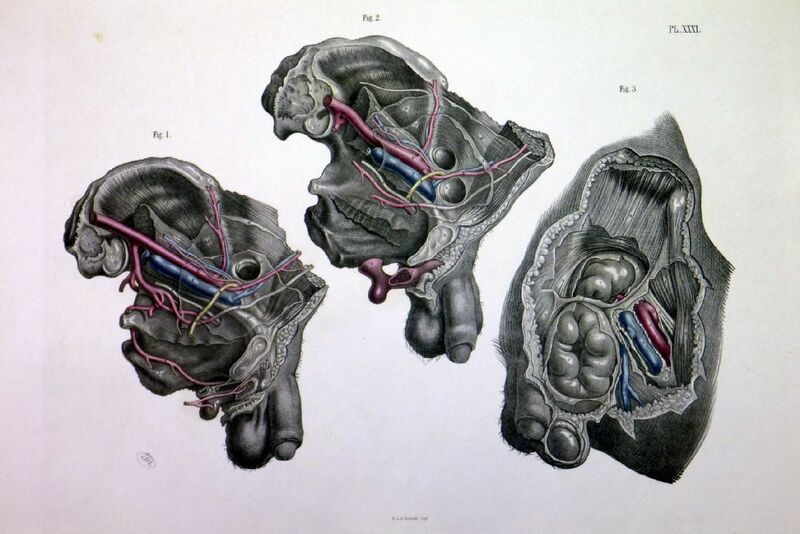 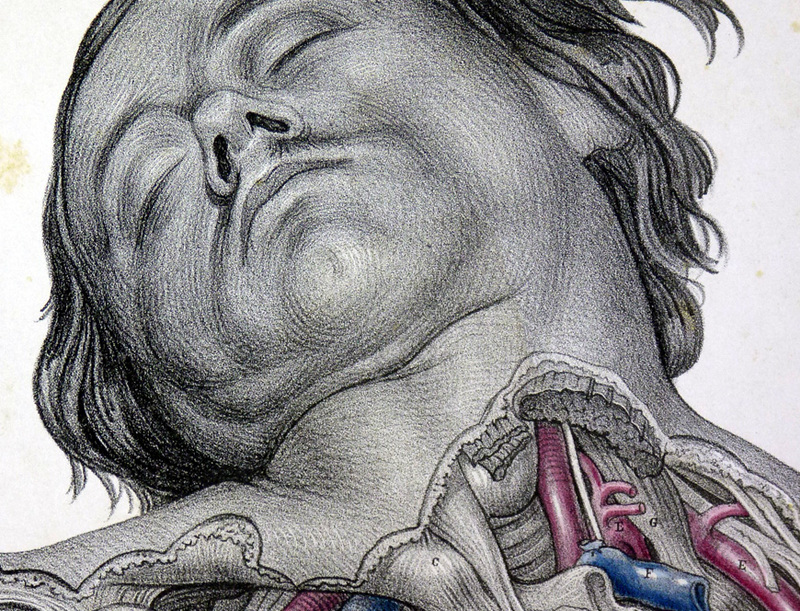 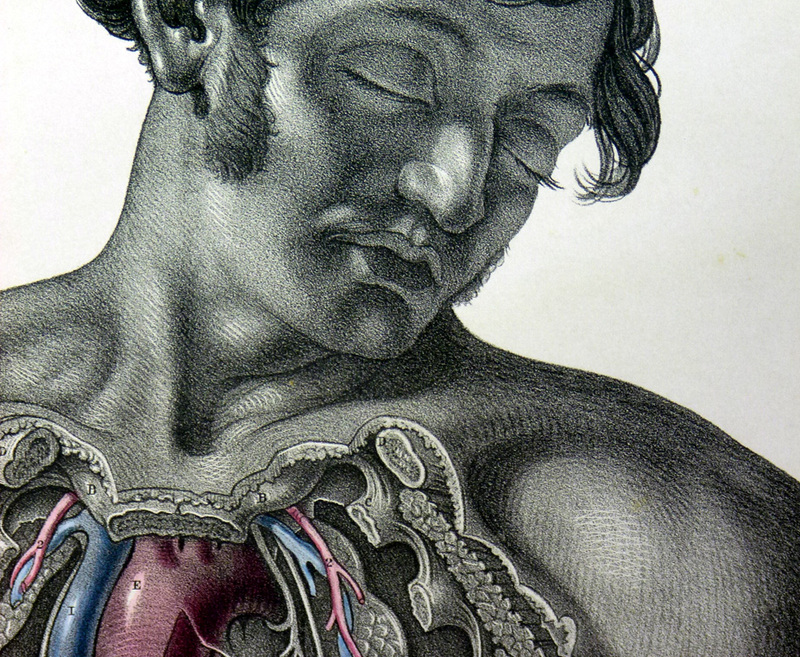 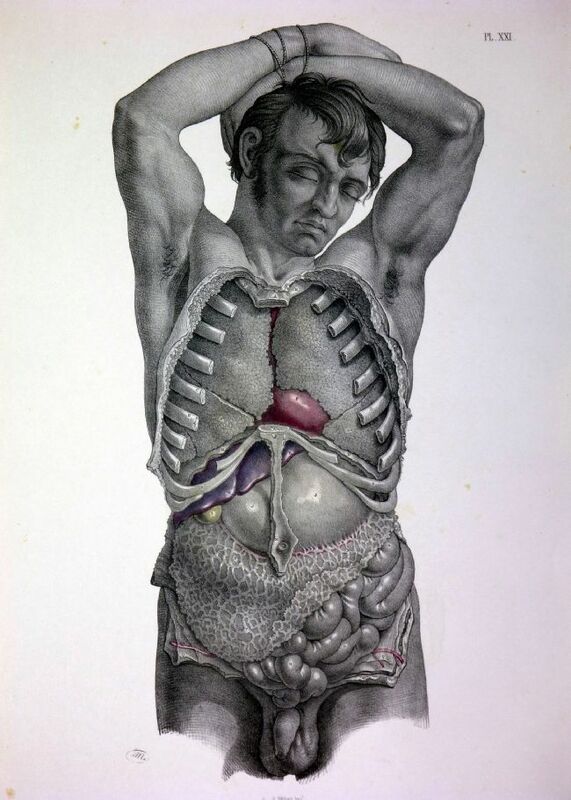 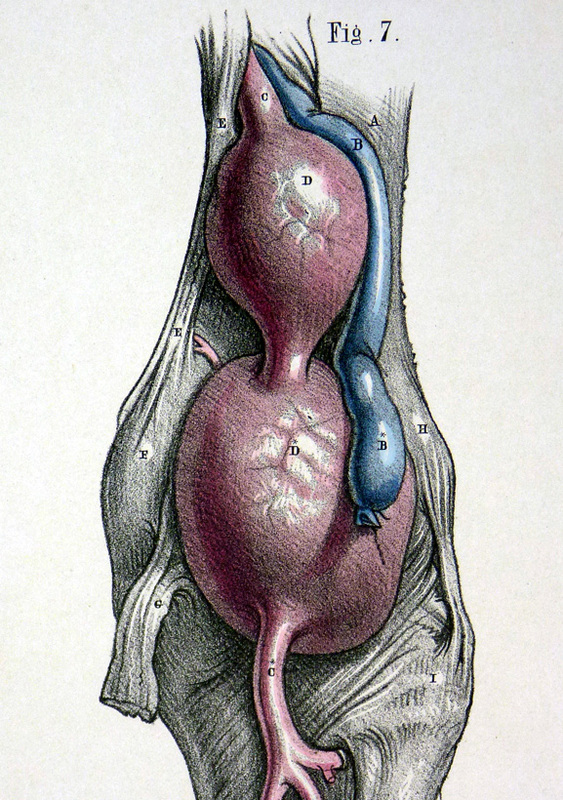 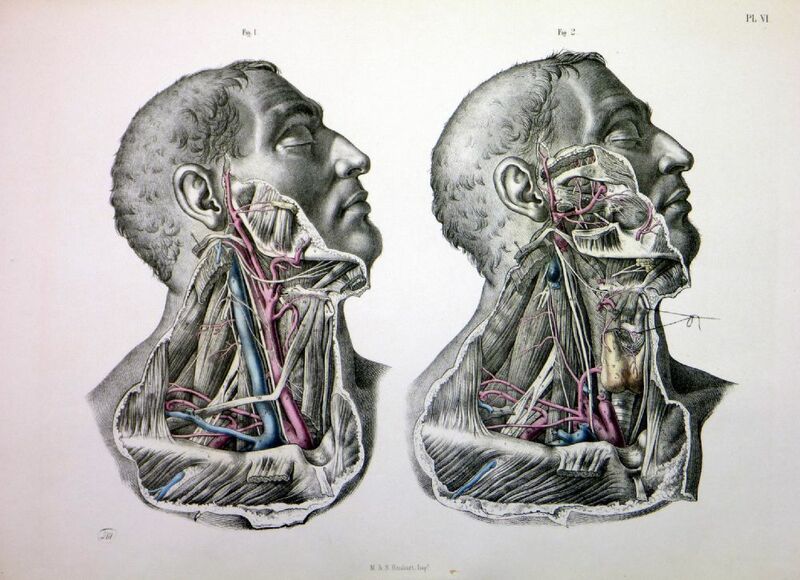 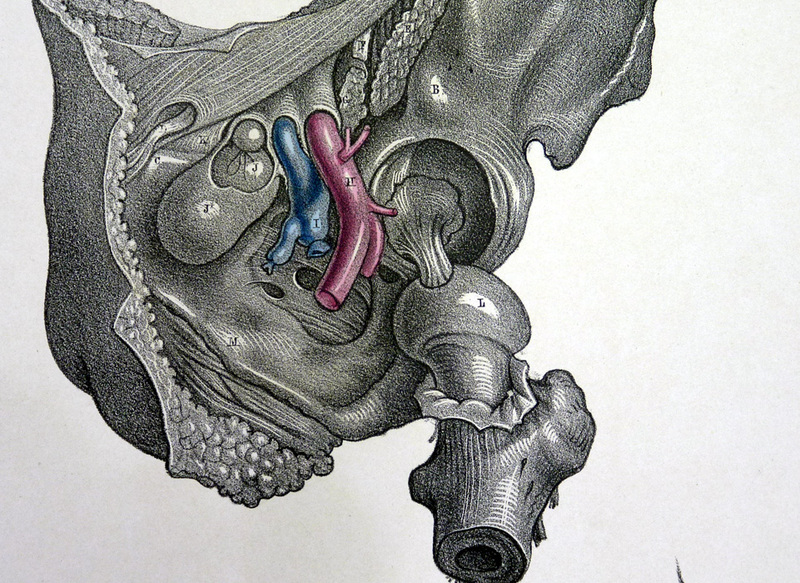 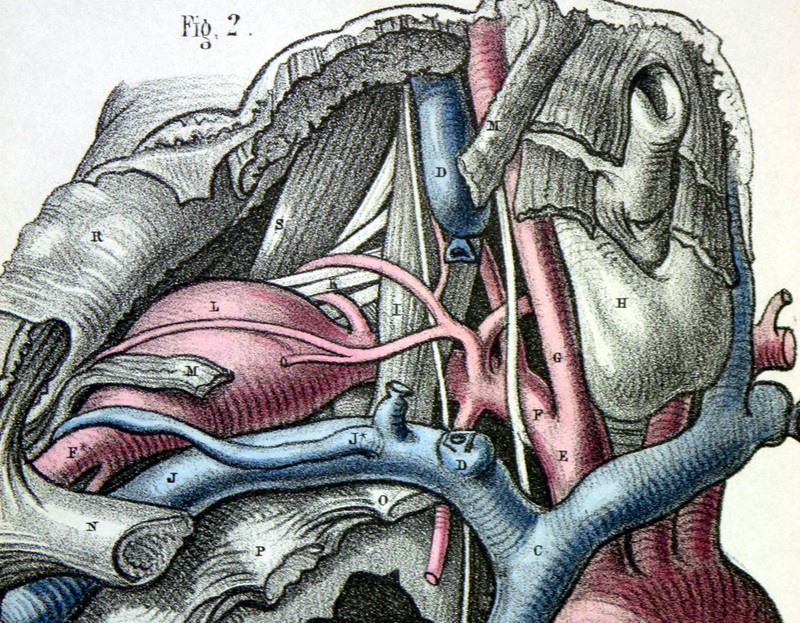 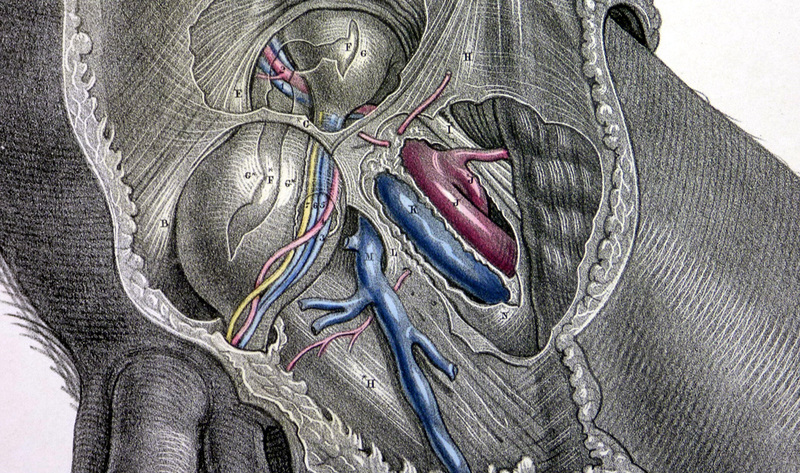 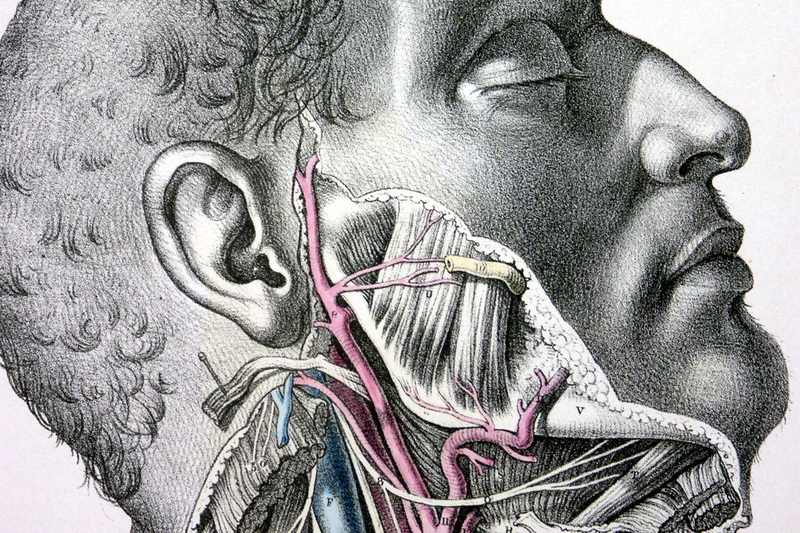 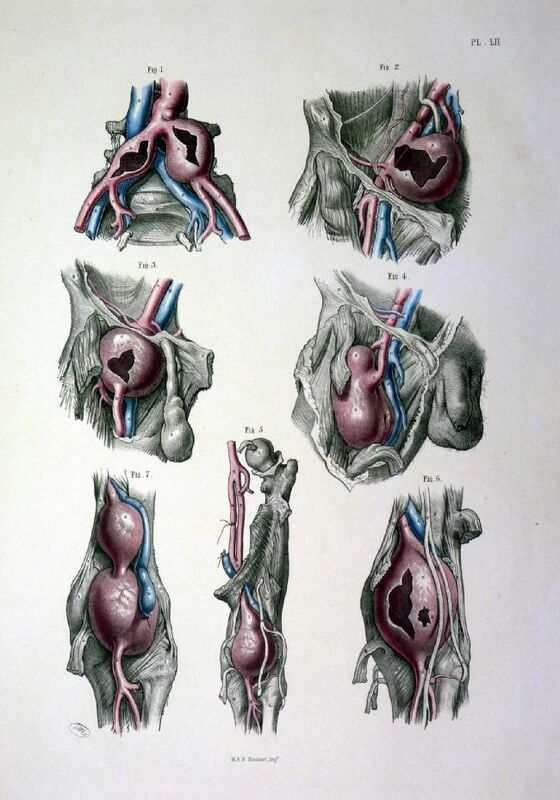 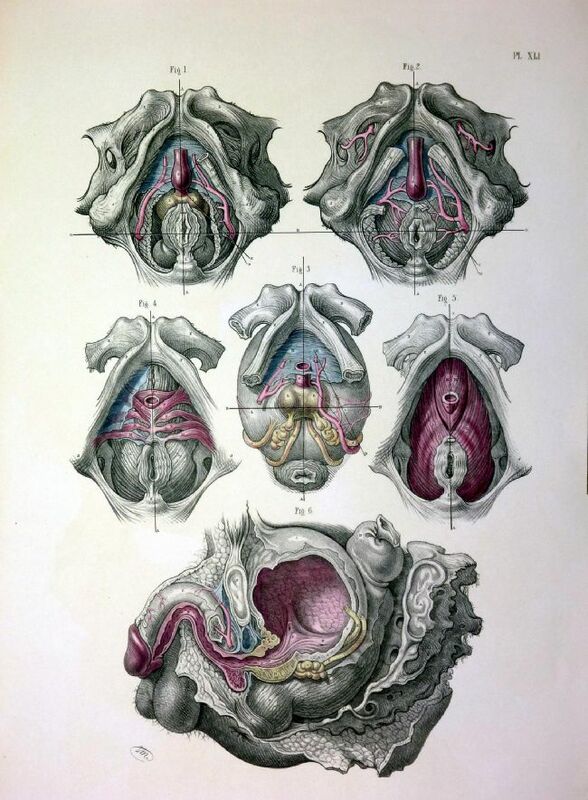 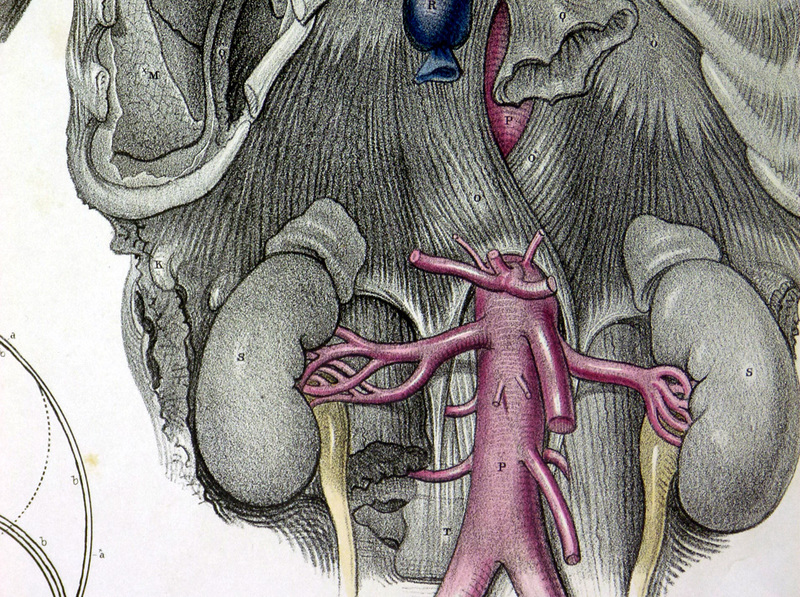 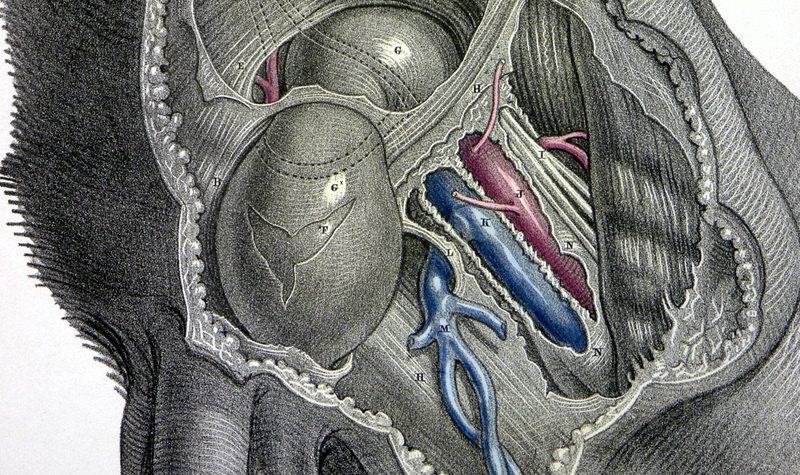 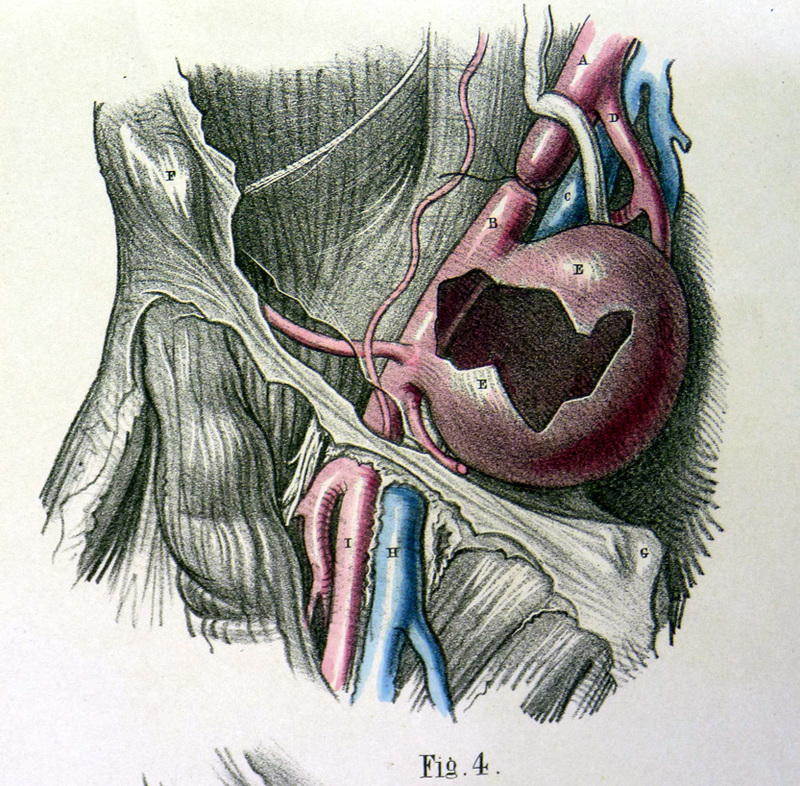 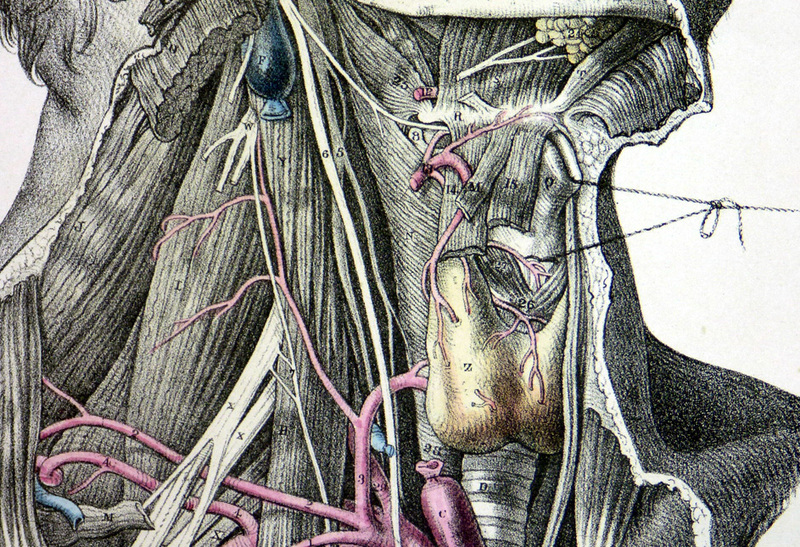 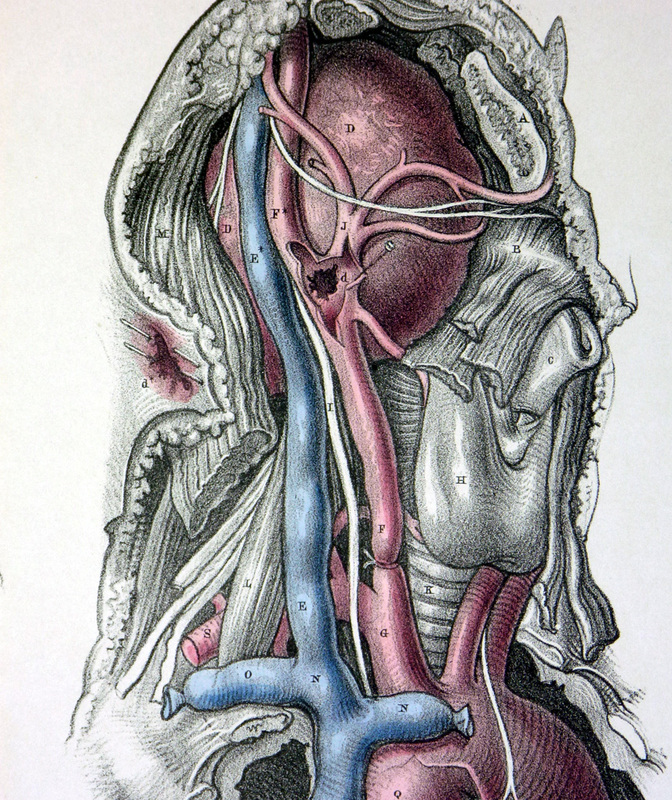 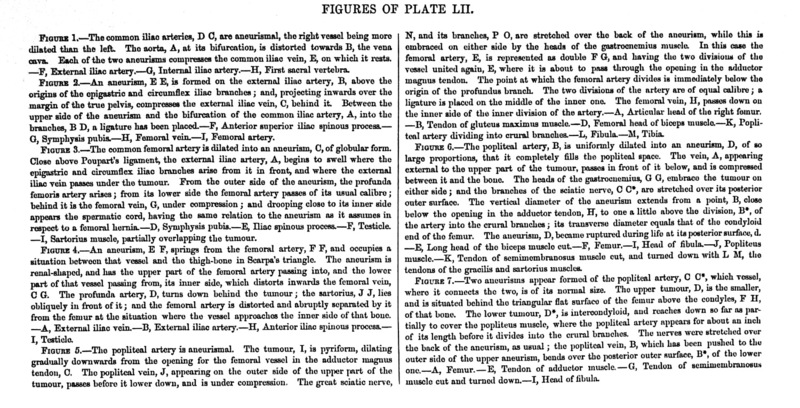 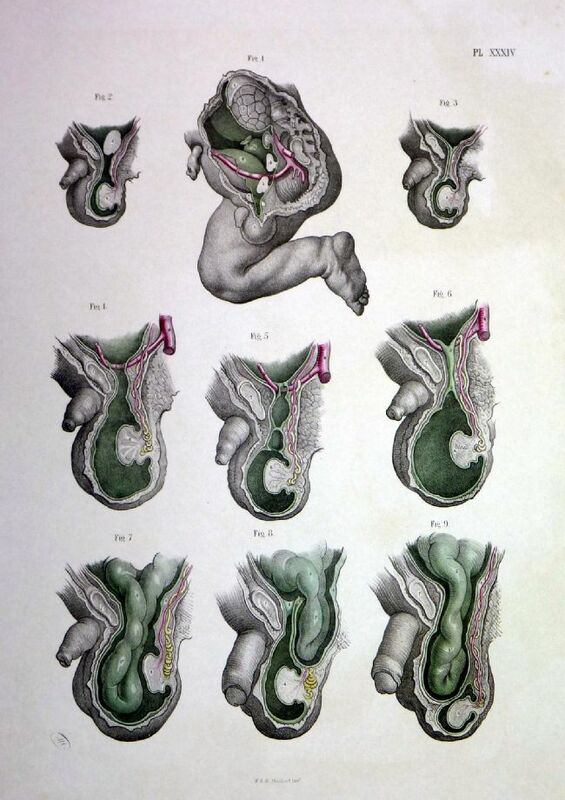 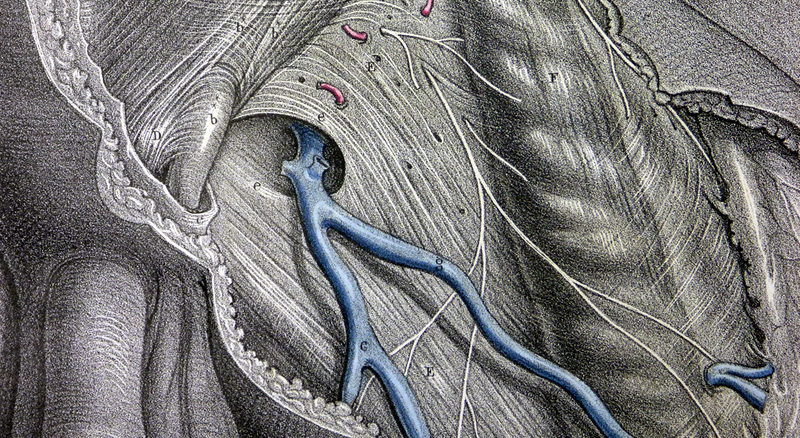 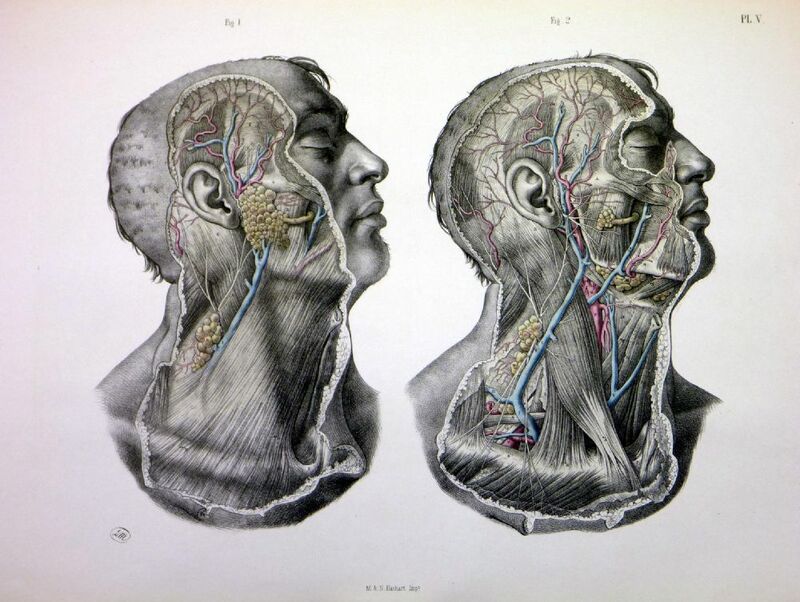 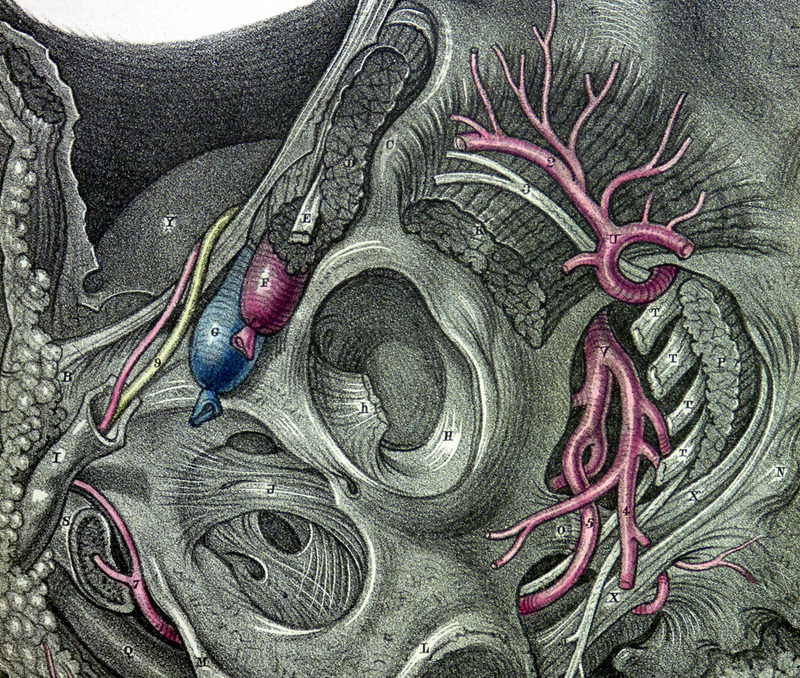 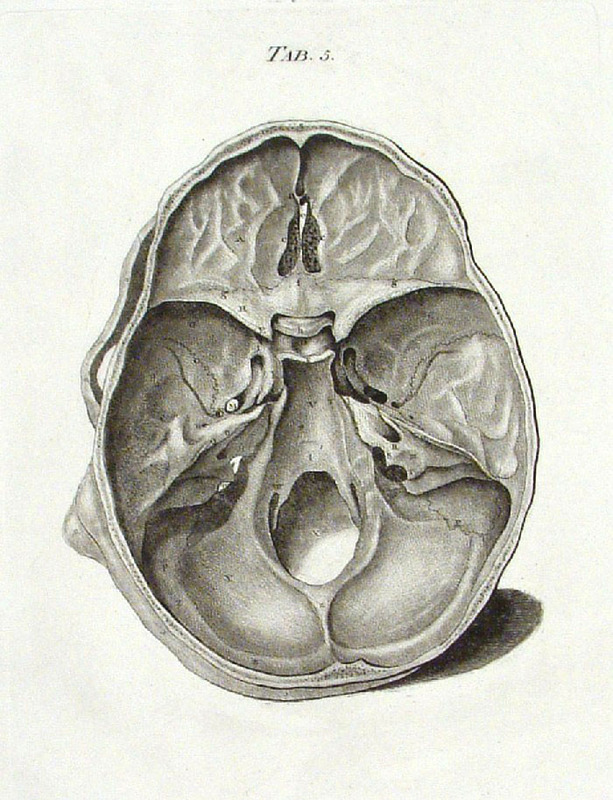 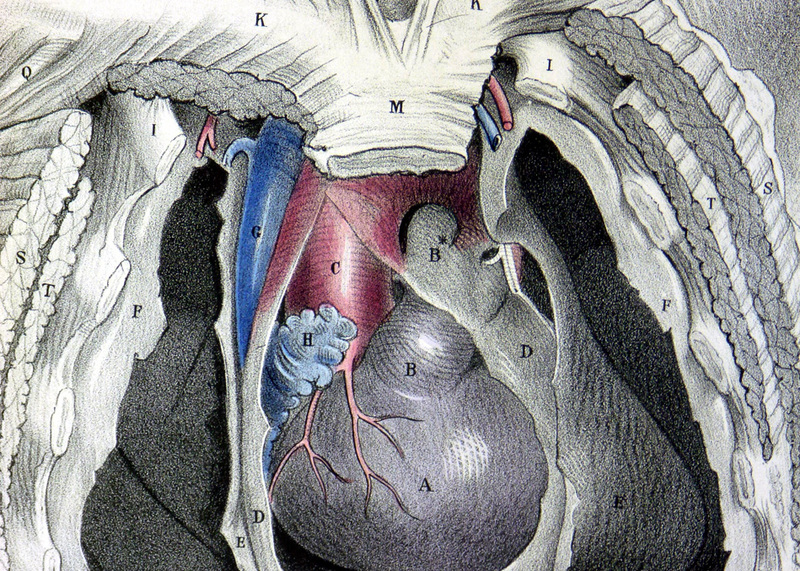 Front View of the Arteries in the Foetus, the Parieties of the Thorax & the Abdomen & Intestines removed to shew the Arteries with the greater precision. 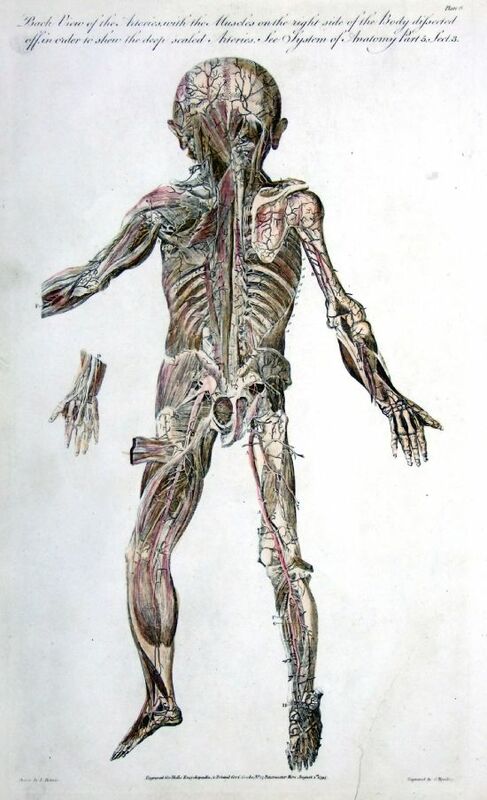 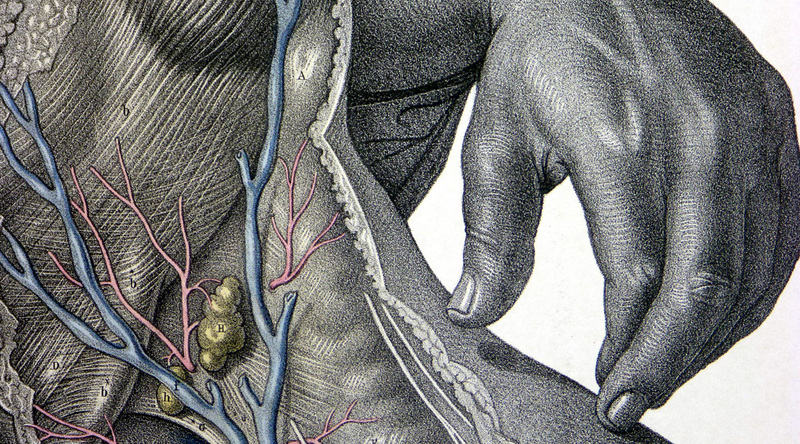 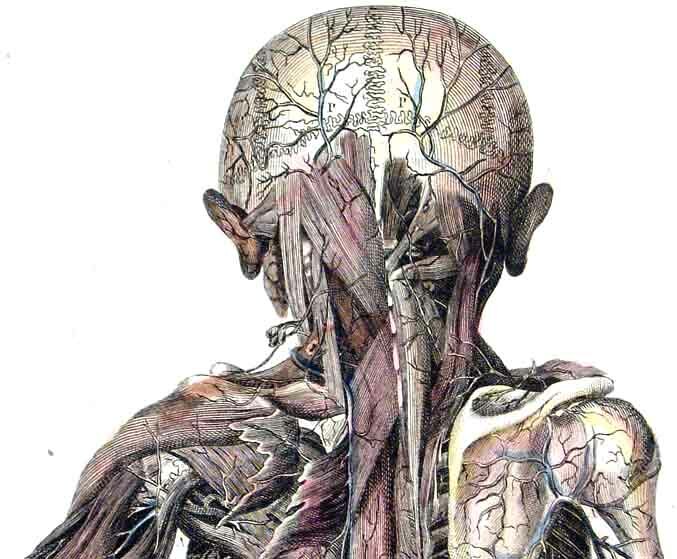 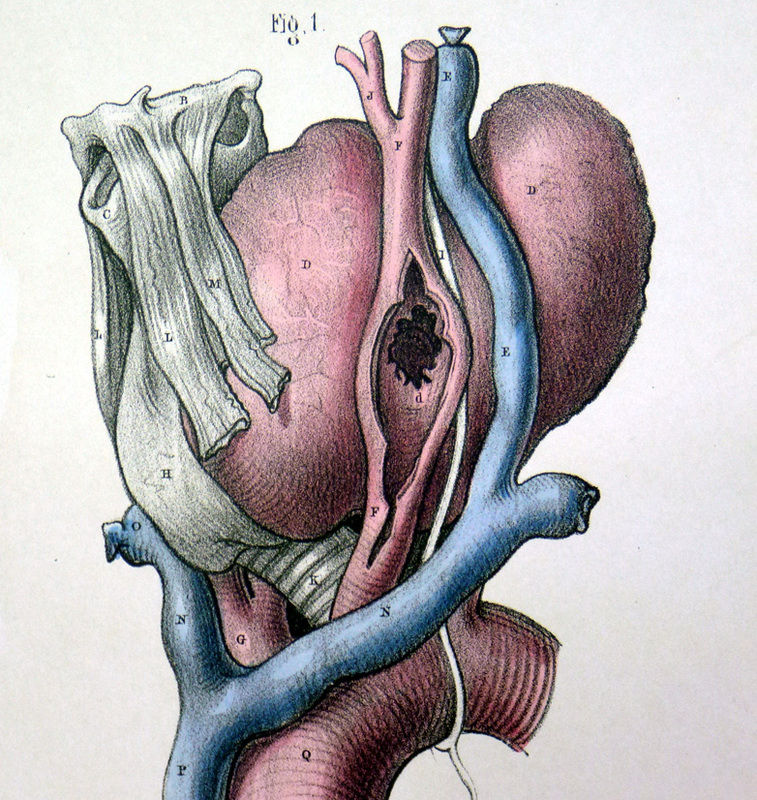 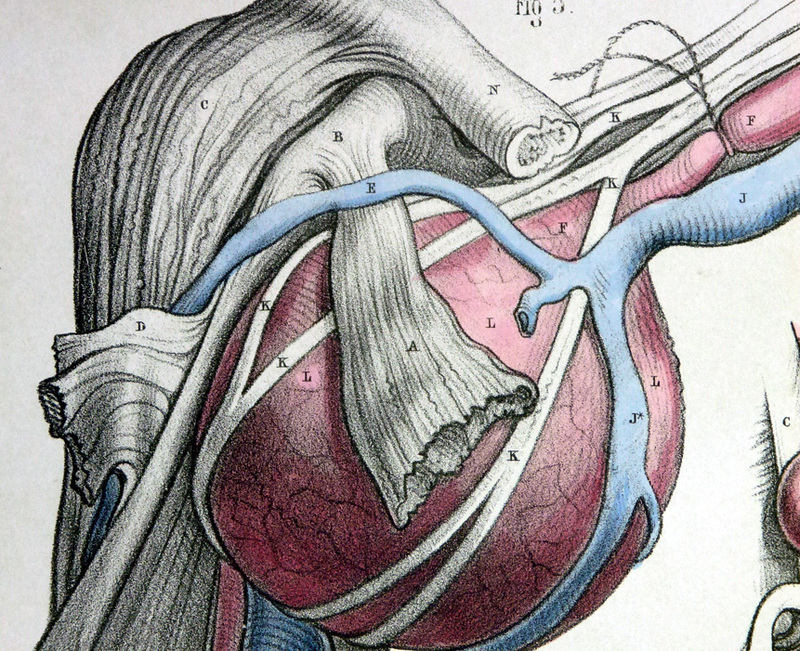 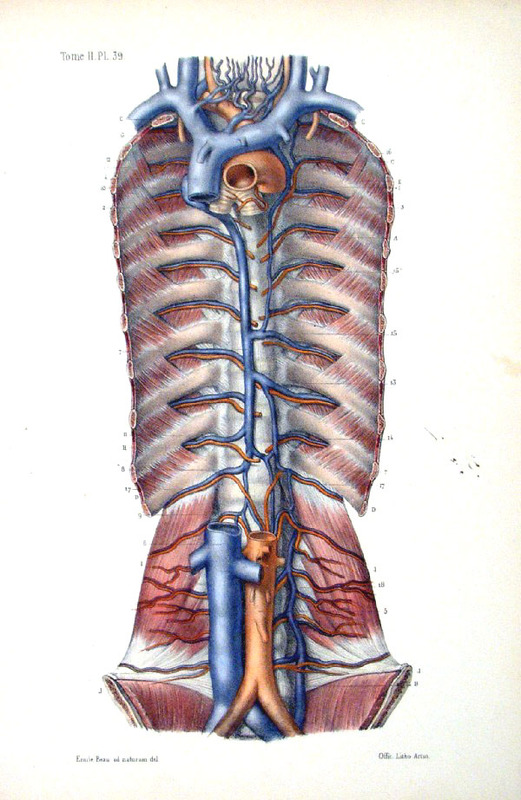 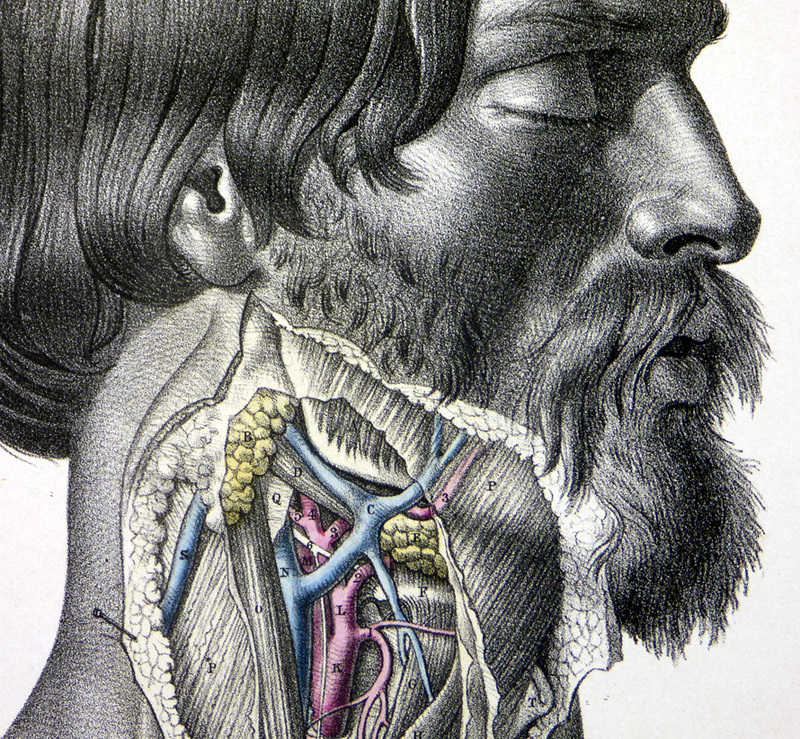 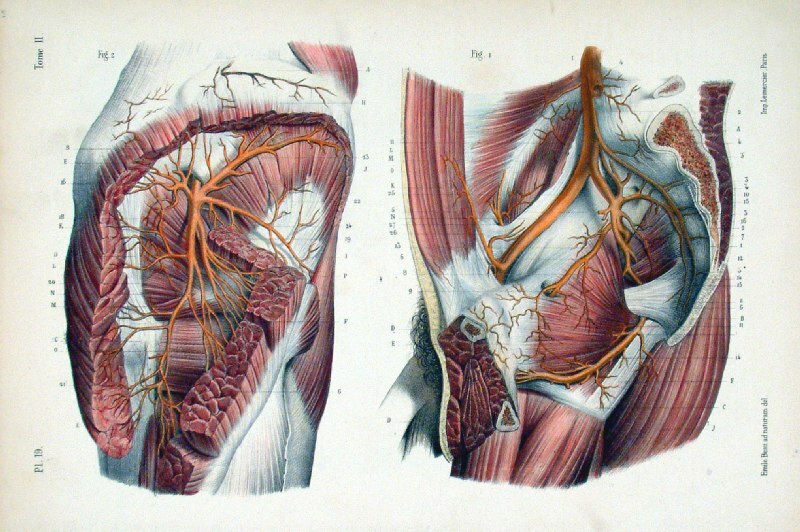 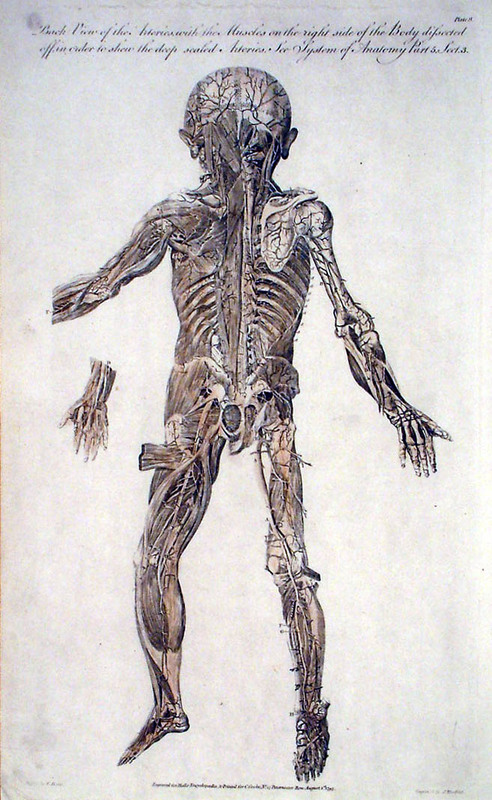 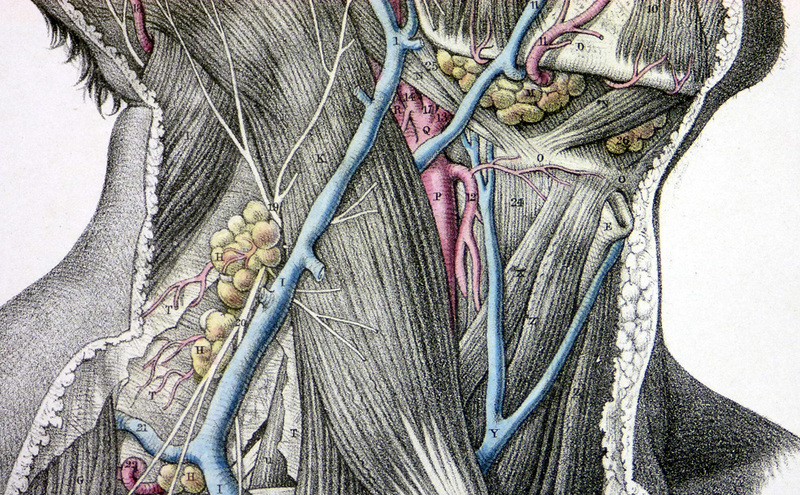 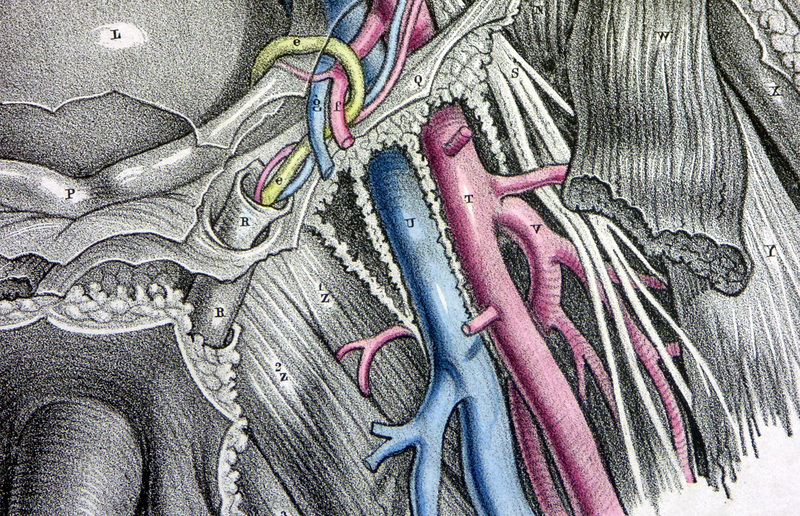 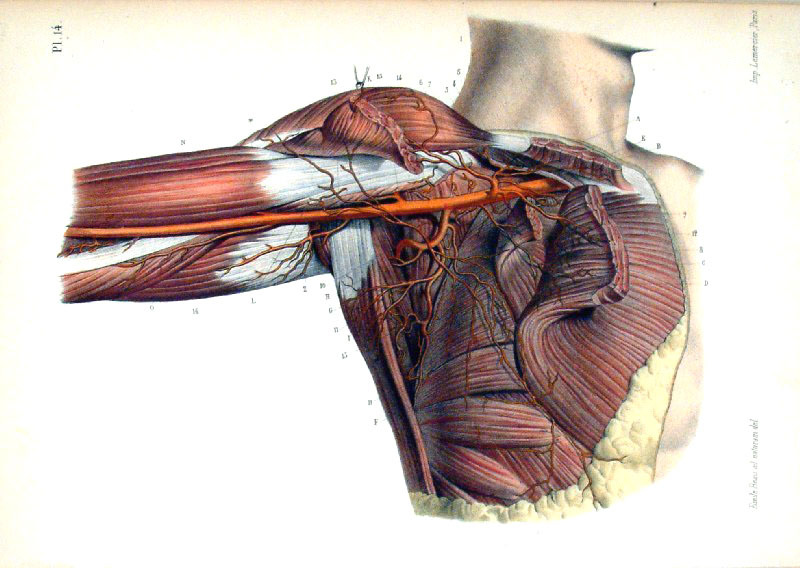 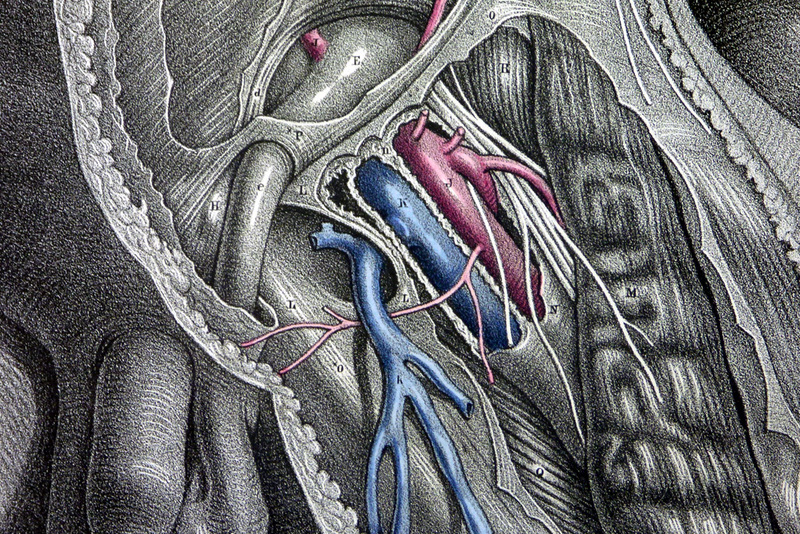 Back View of the Arteries, with muscles on the right side of the body dissected off in order to shew the deep scaled Arteries. 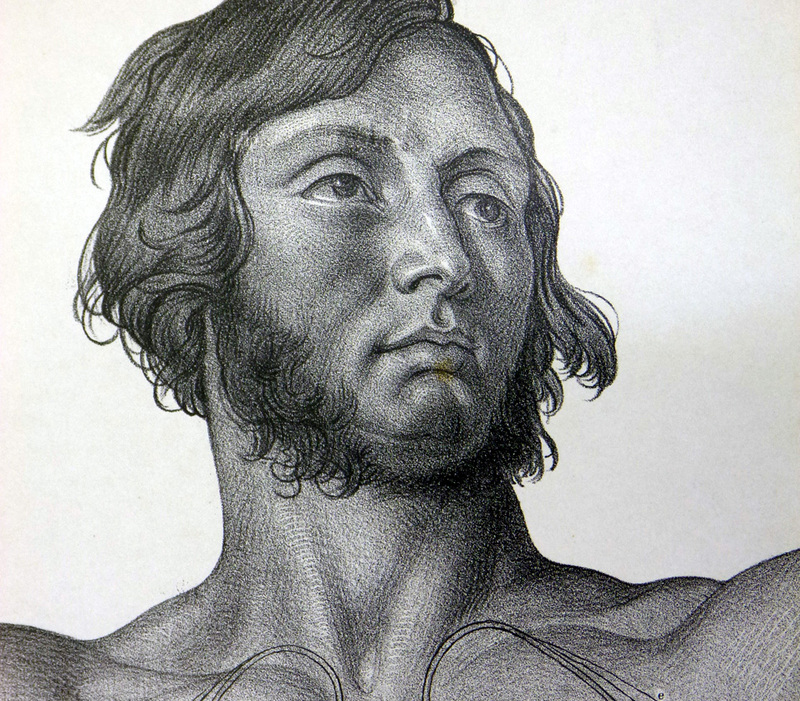 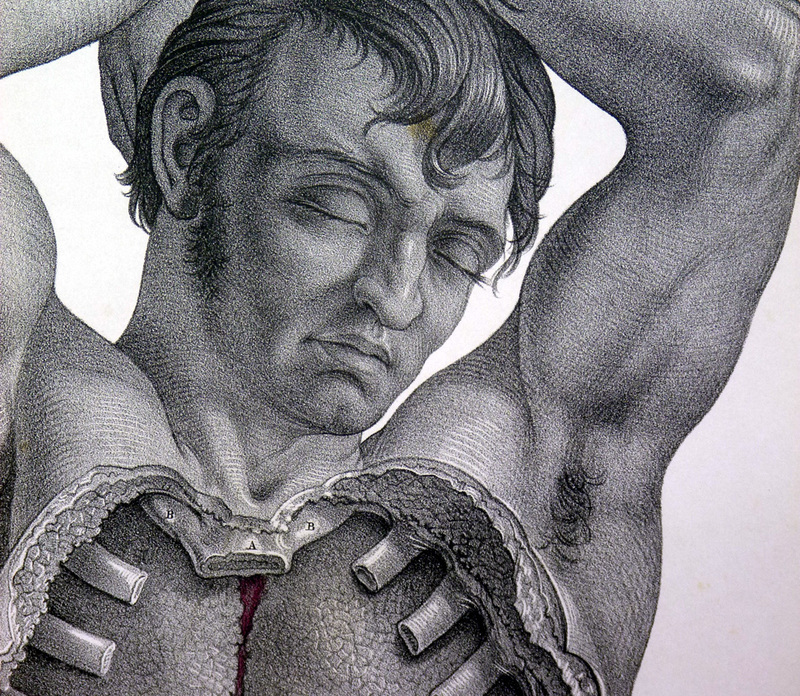 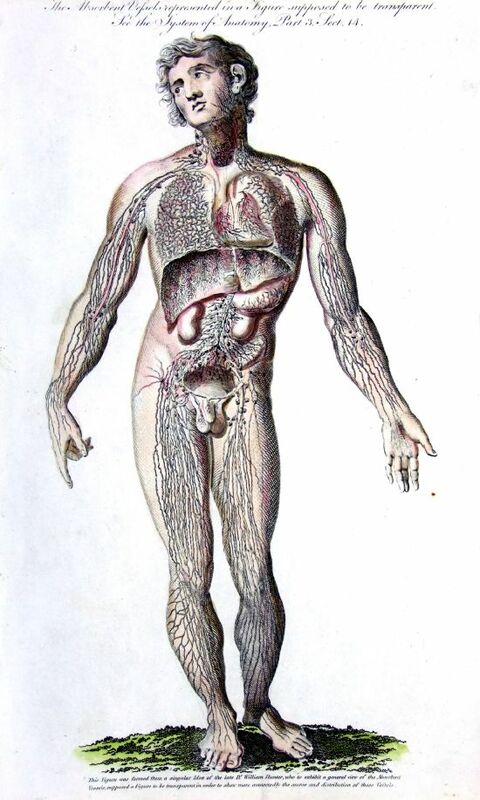 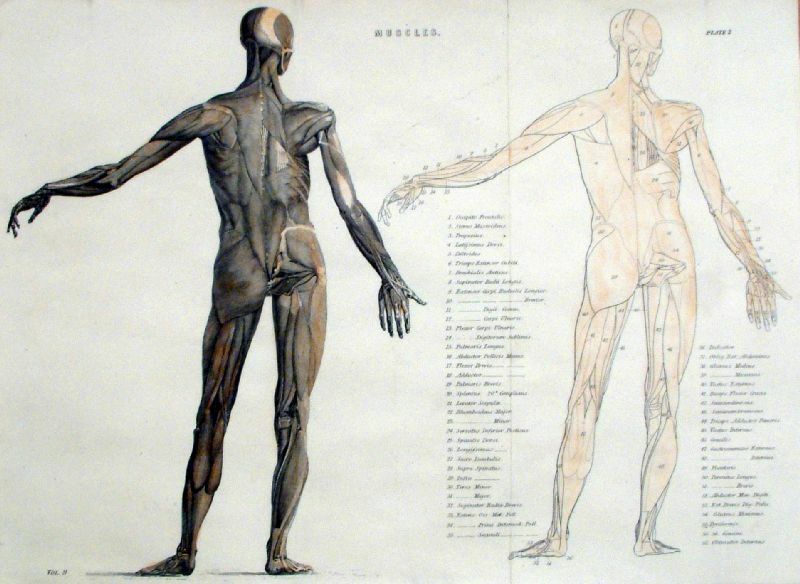 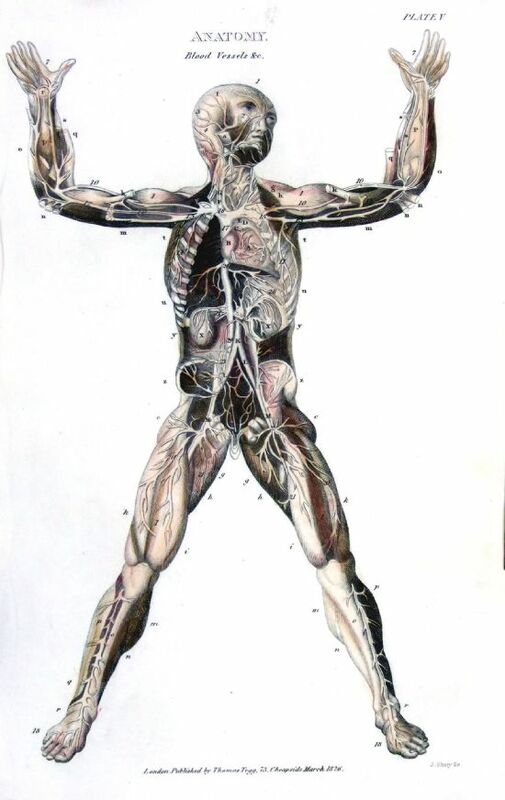 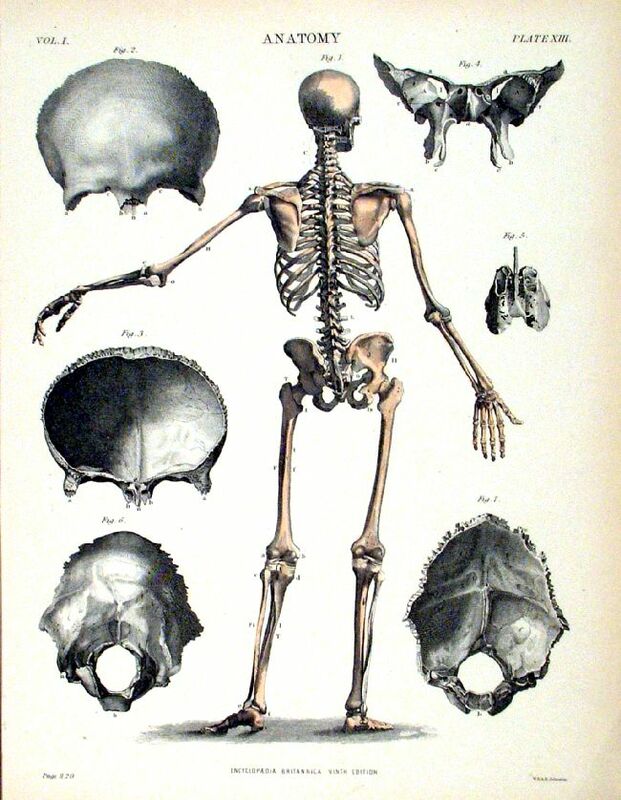 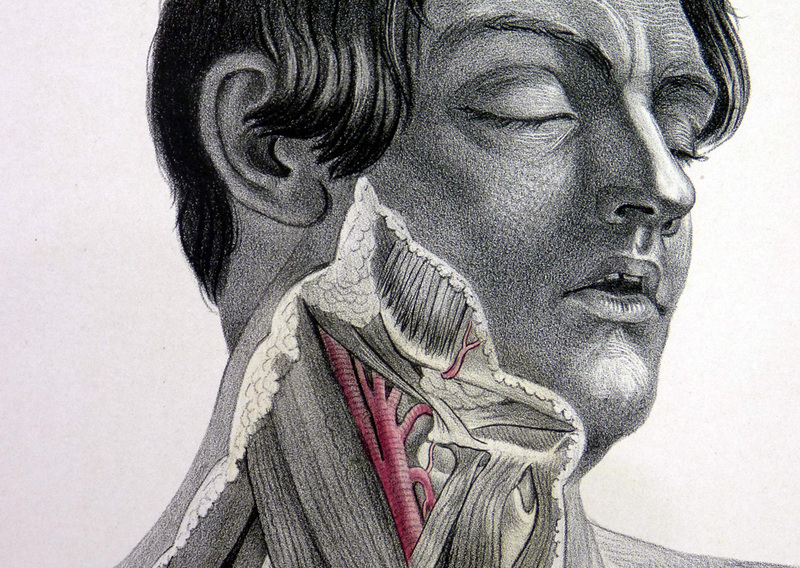 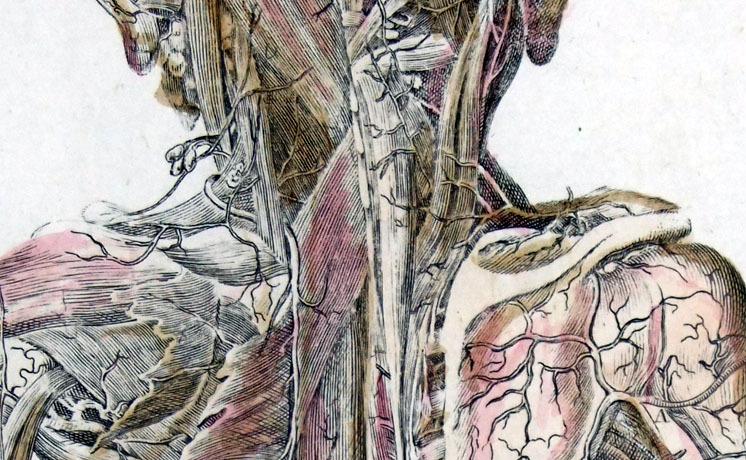 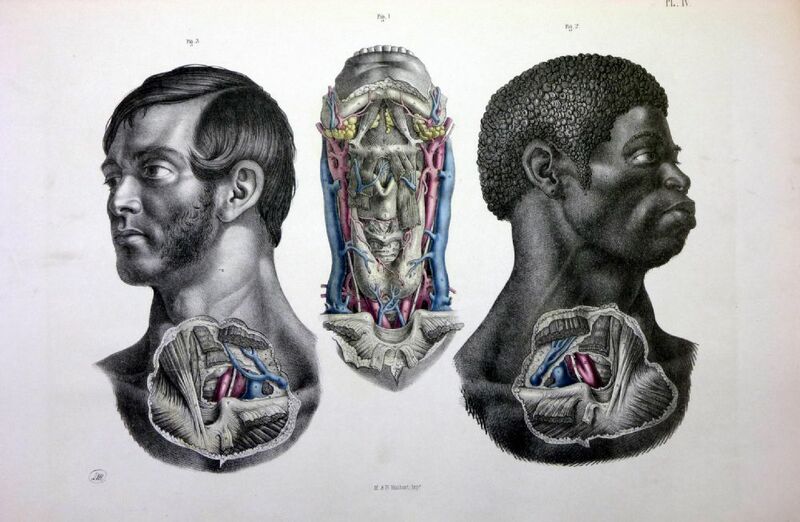 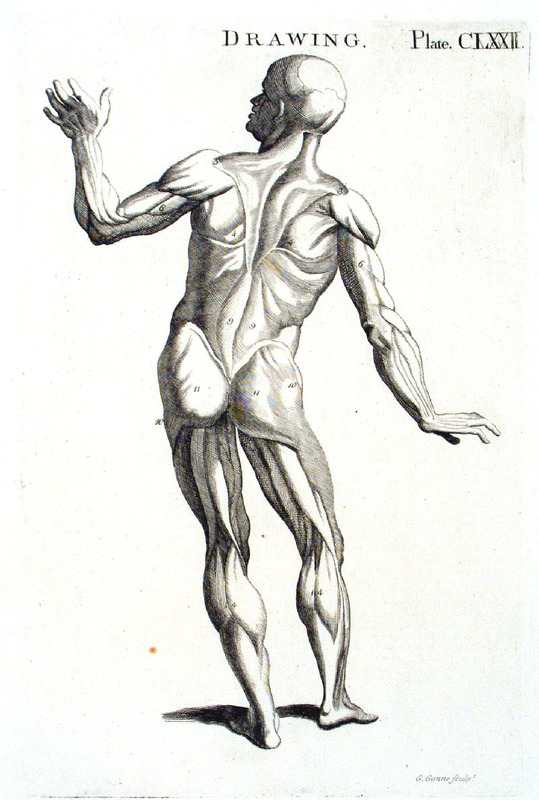 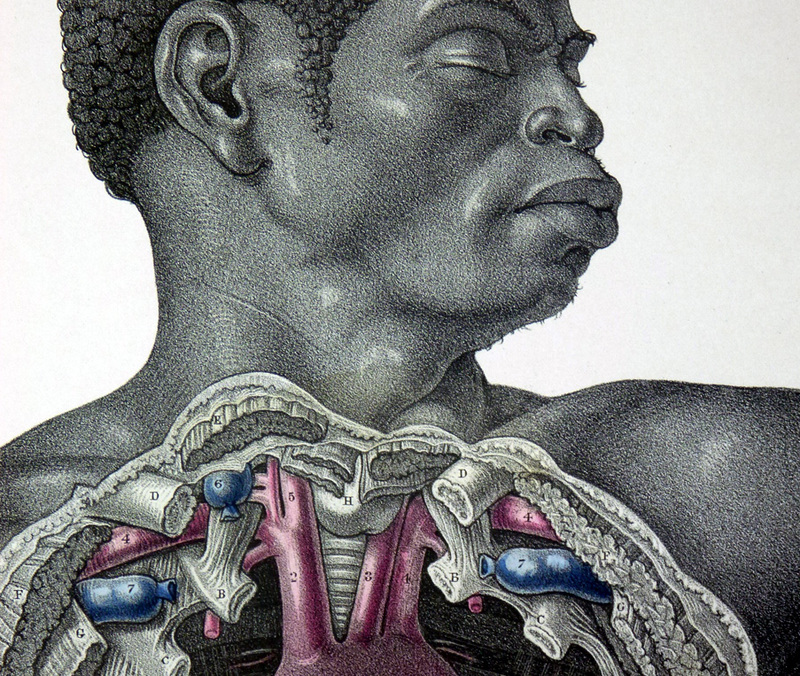 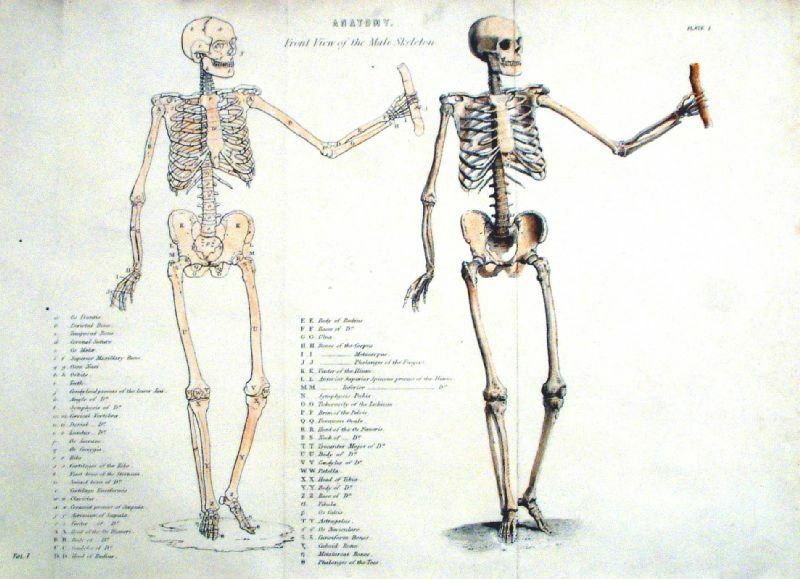 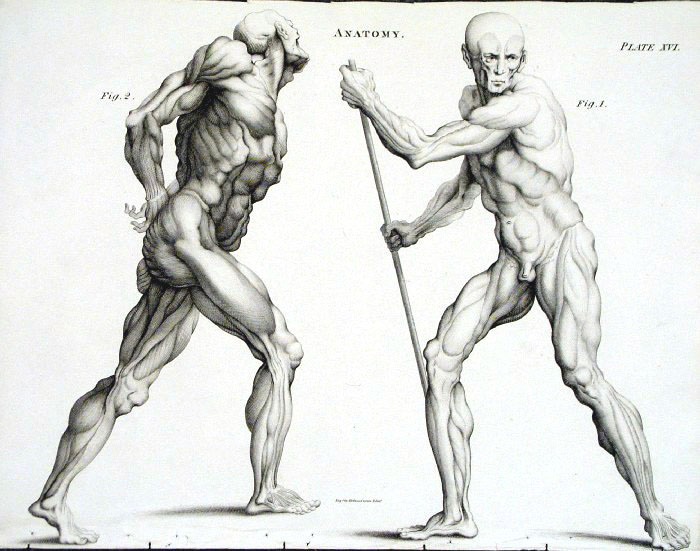 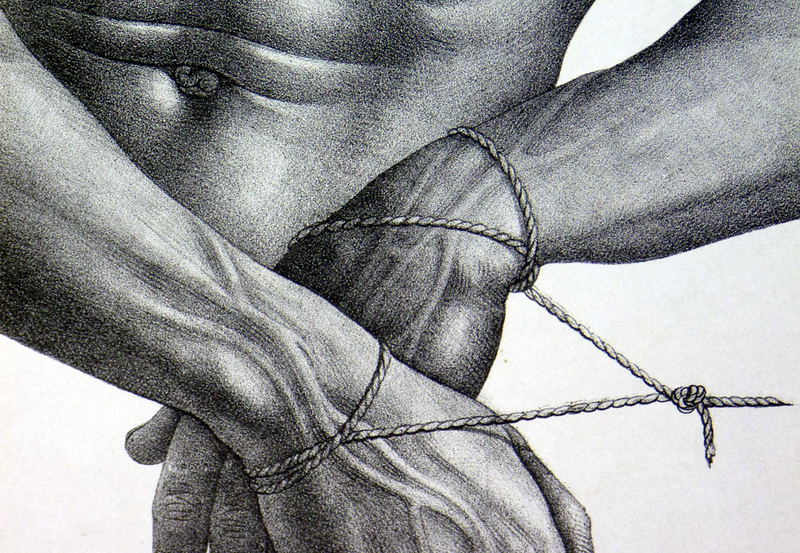 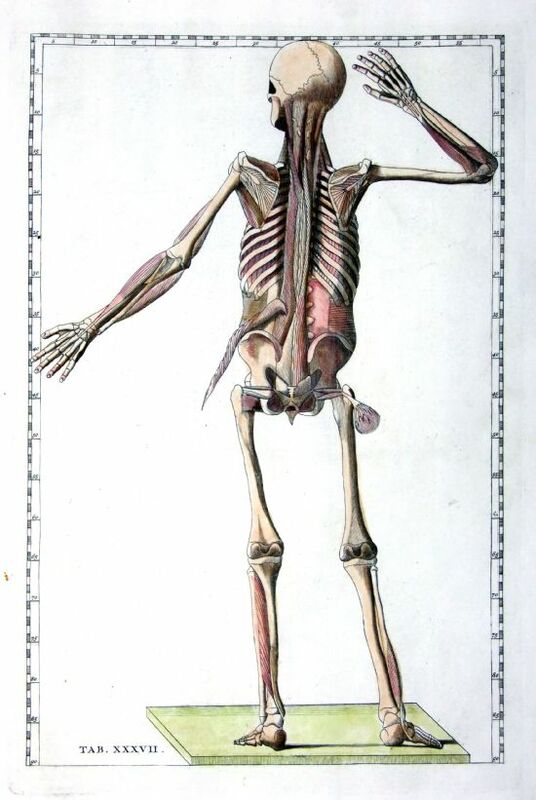 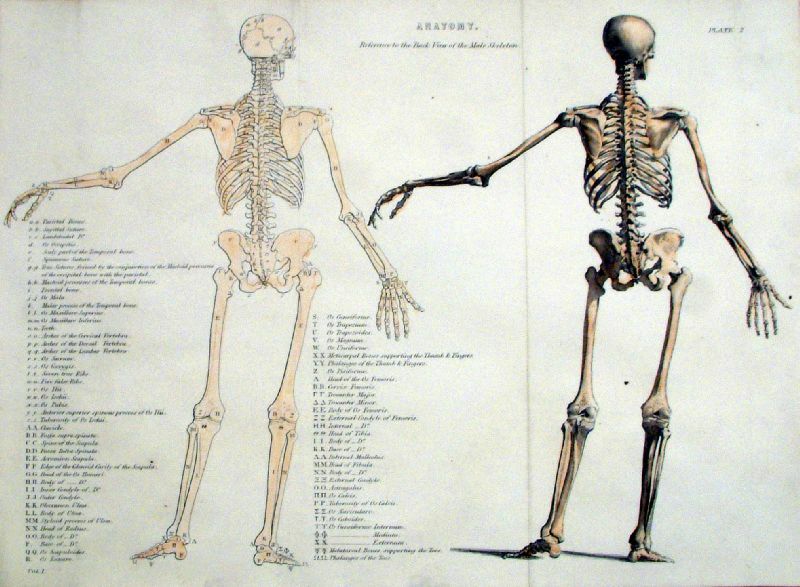 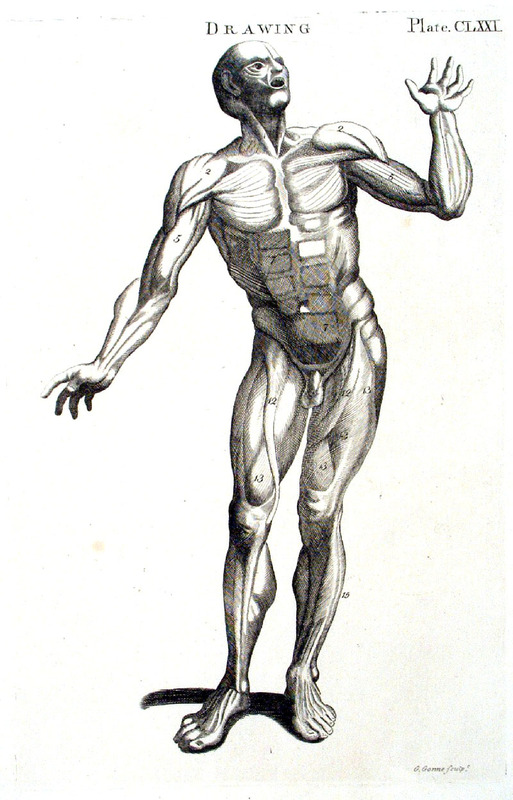 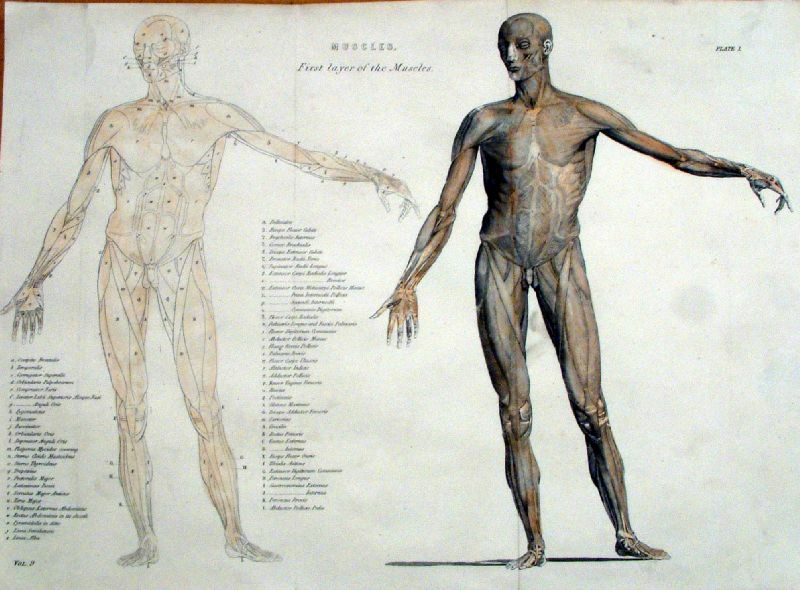 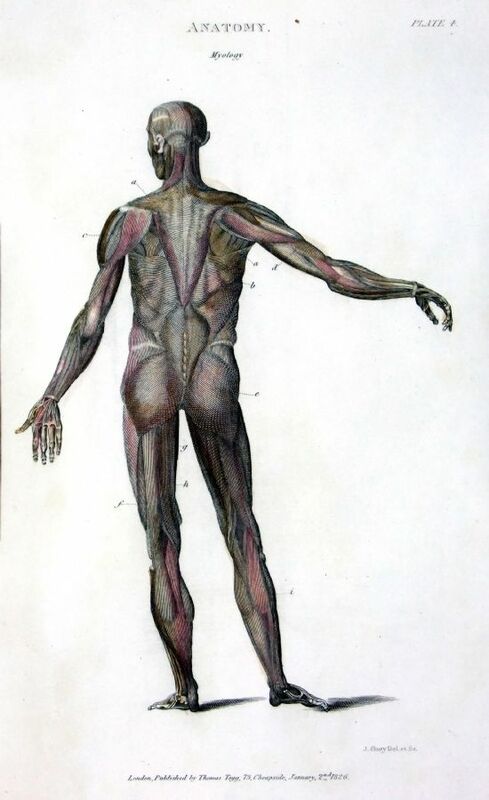 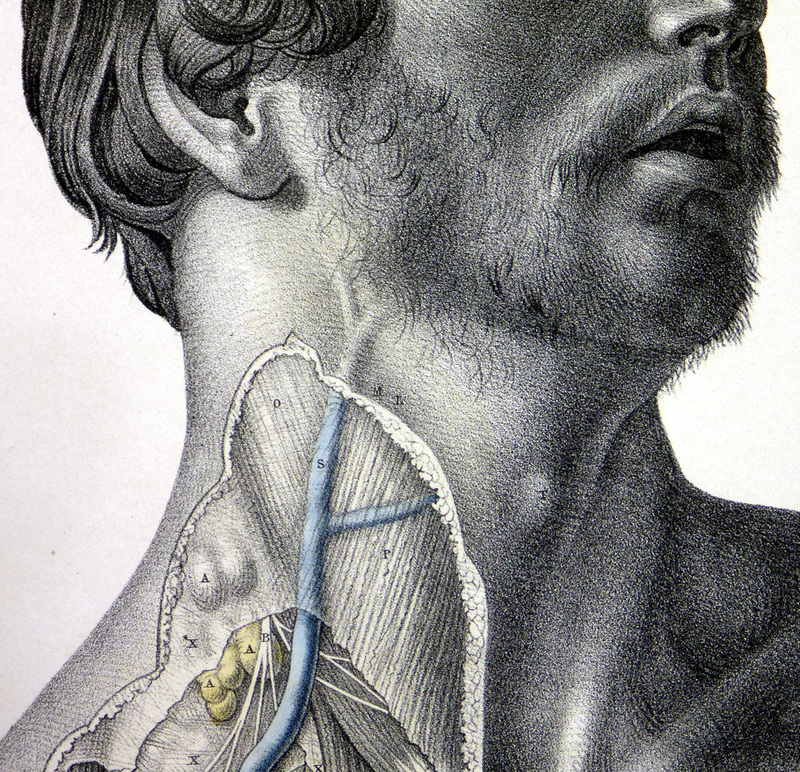 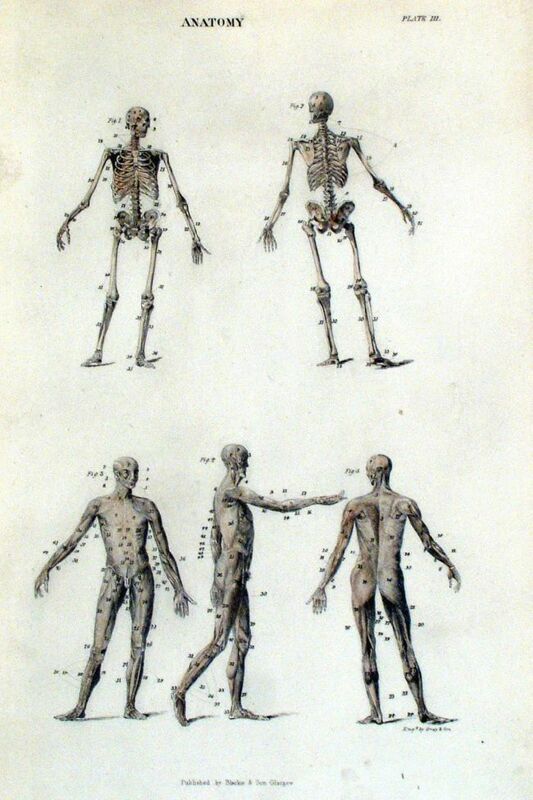 Muscle Structure Kirkwood & Son c1790 Copper Engraving. 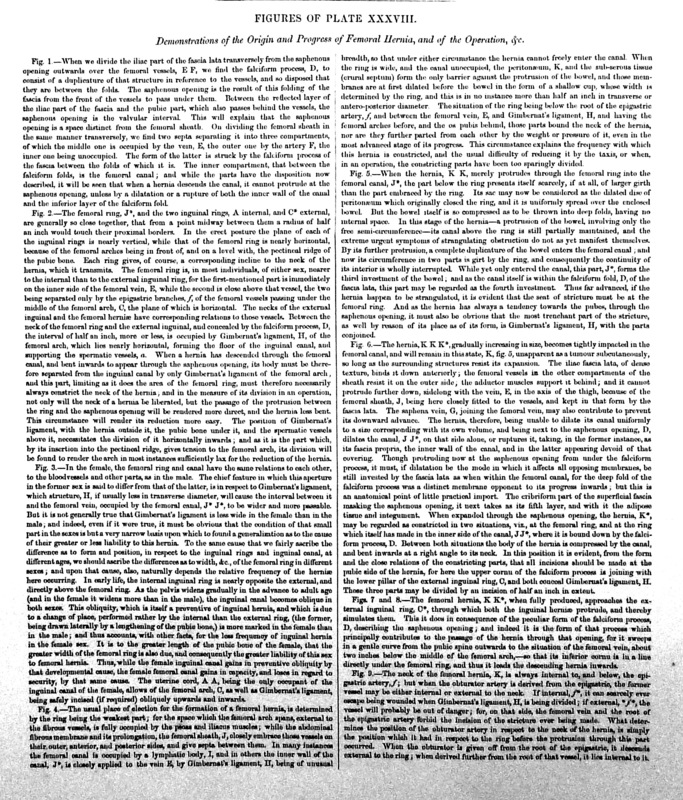 size: 260 x 200 mm Tight top and bottom margins. 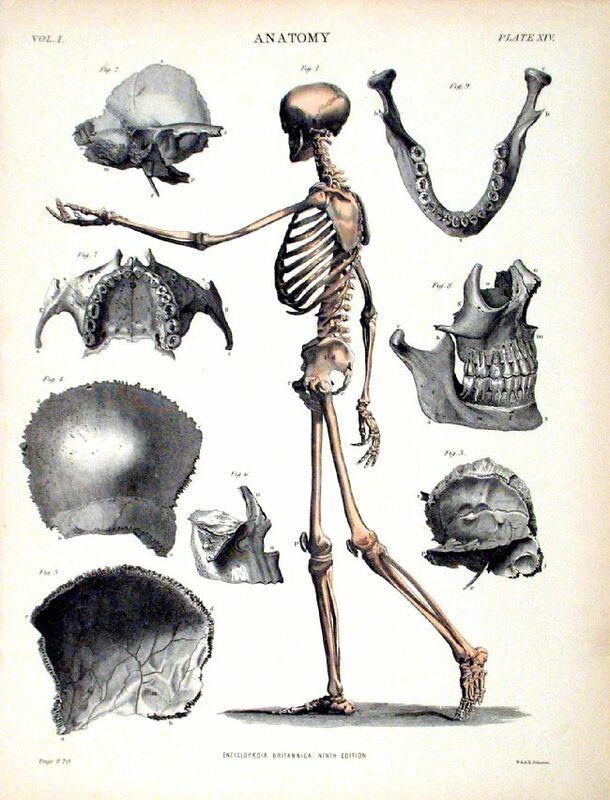 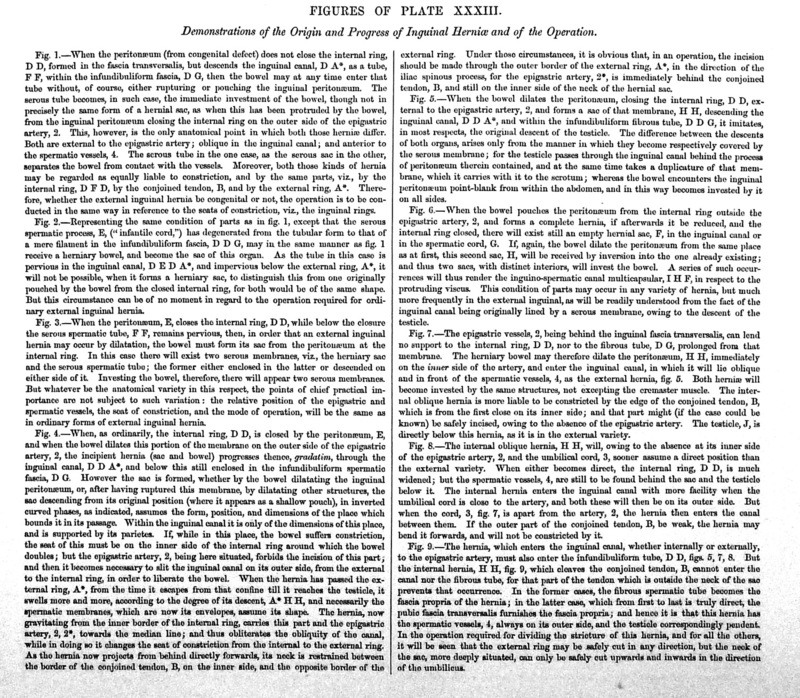 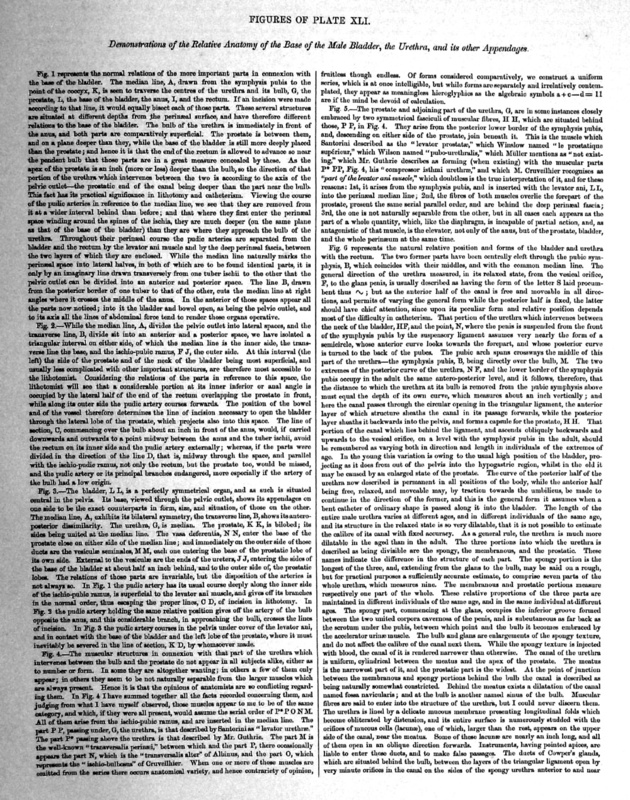 Comes with a page of references to illustration's index letters. 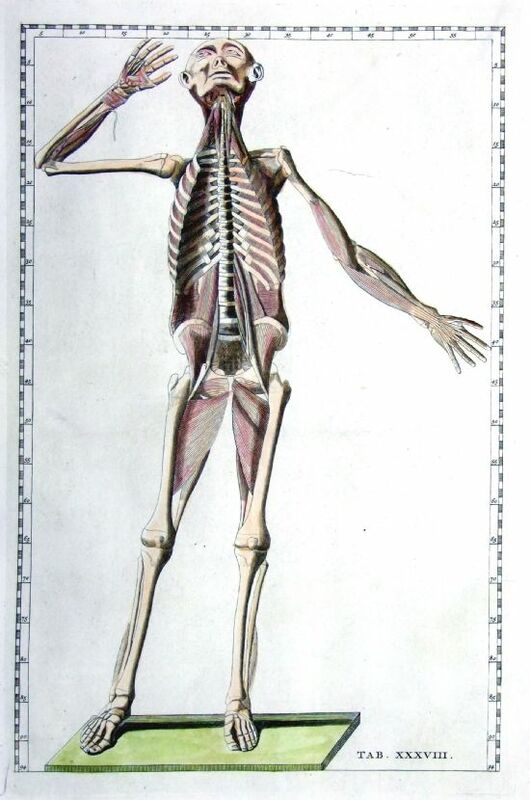 Comes with a few pages of references to illustration's index letters. 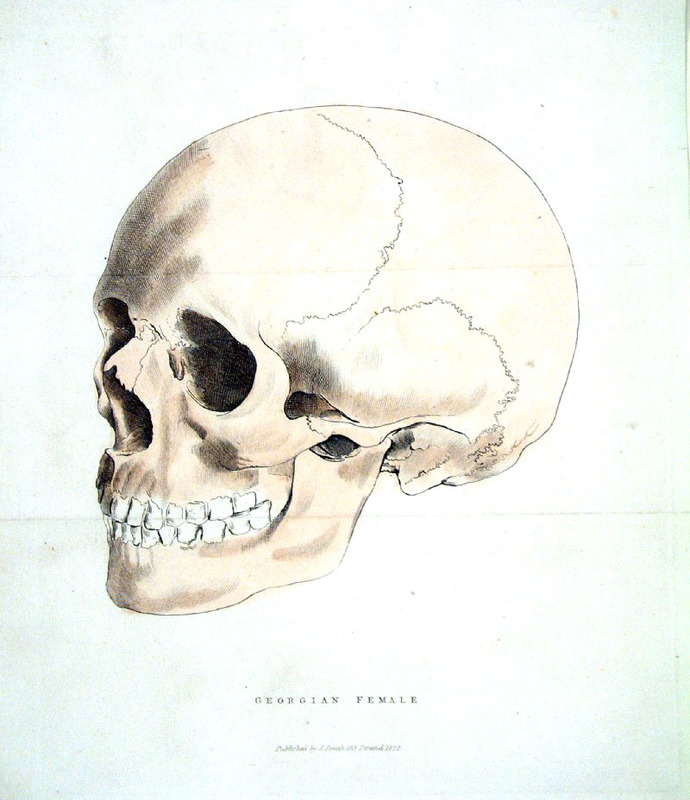 Copper Engraving size: 220 x 360 mm, repair to tear on right of lower margin. 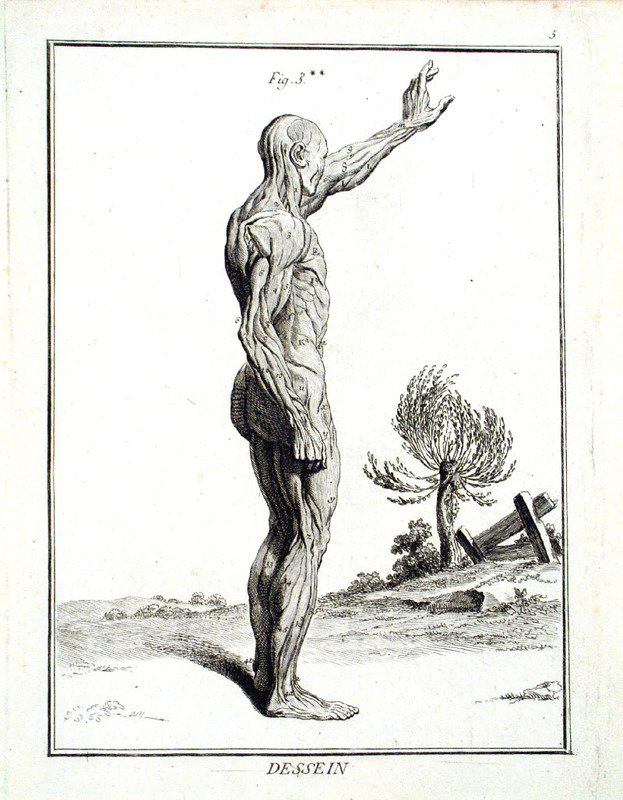 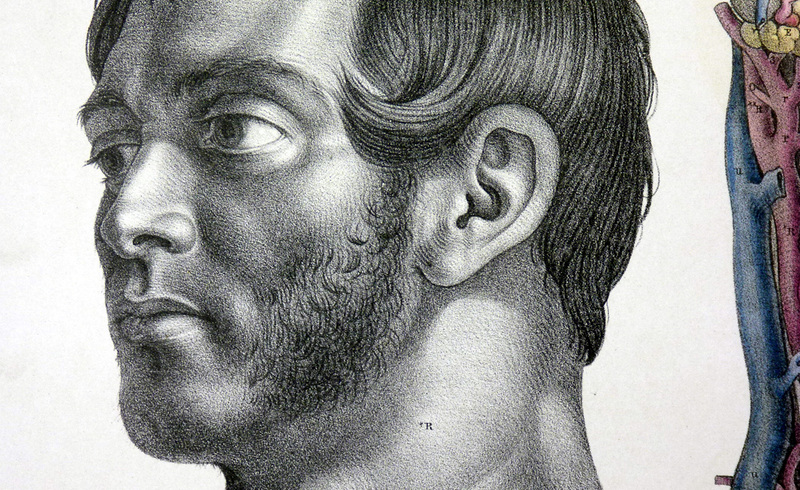 Lithograph on stone by Thos Wagner for P.S. 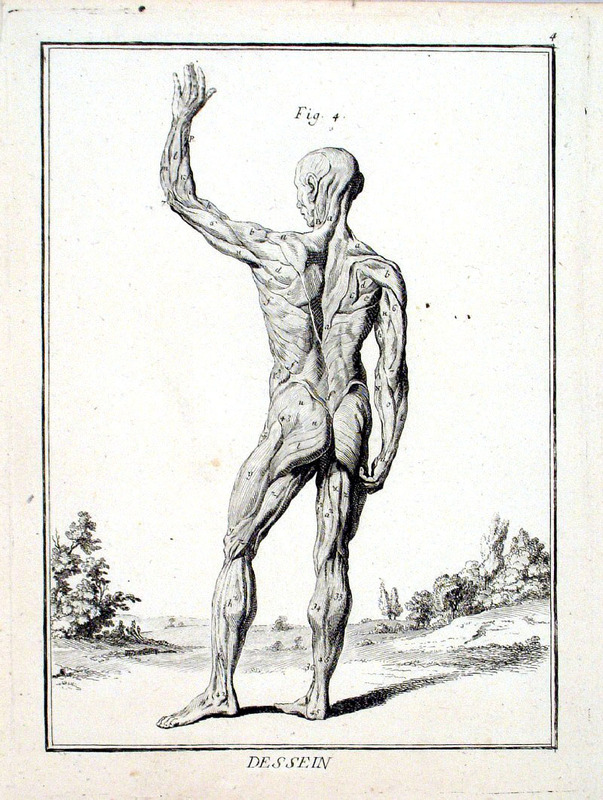 Duval, Phil. 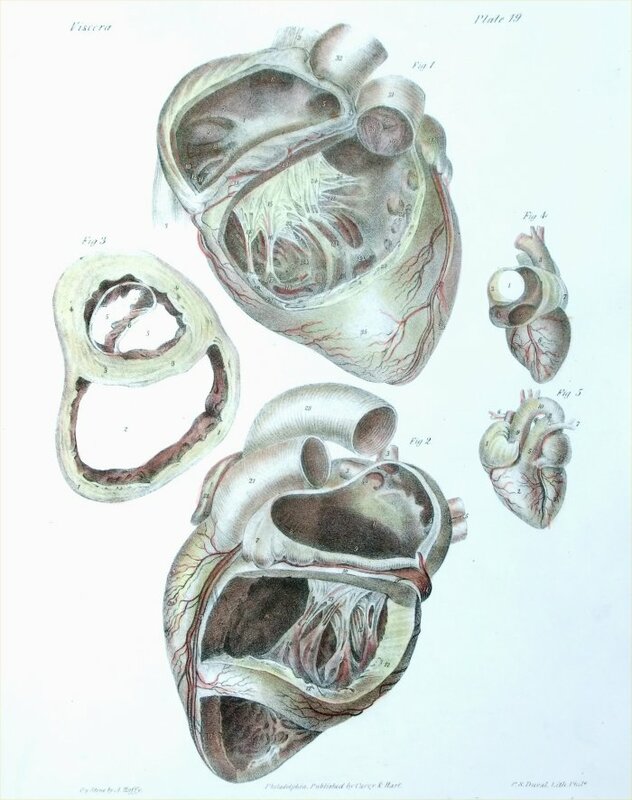 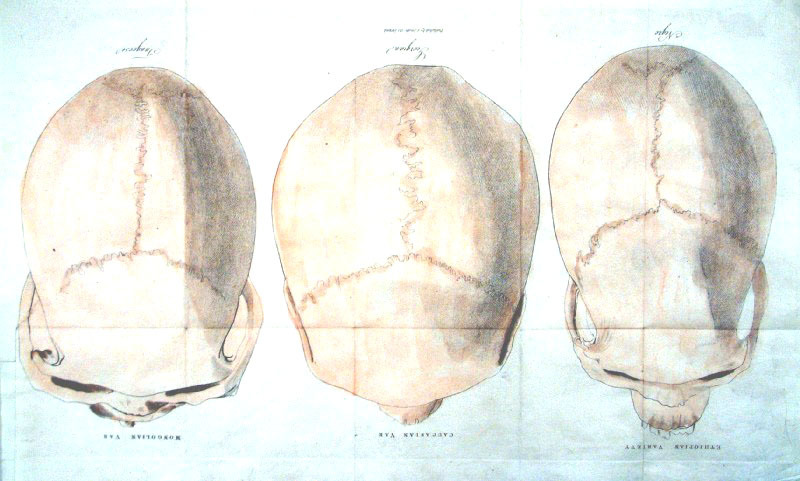 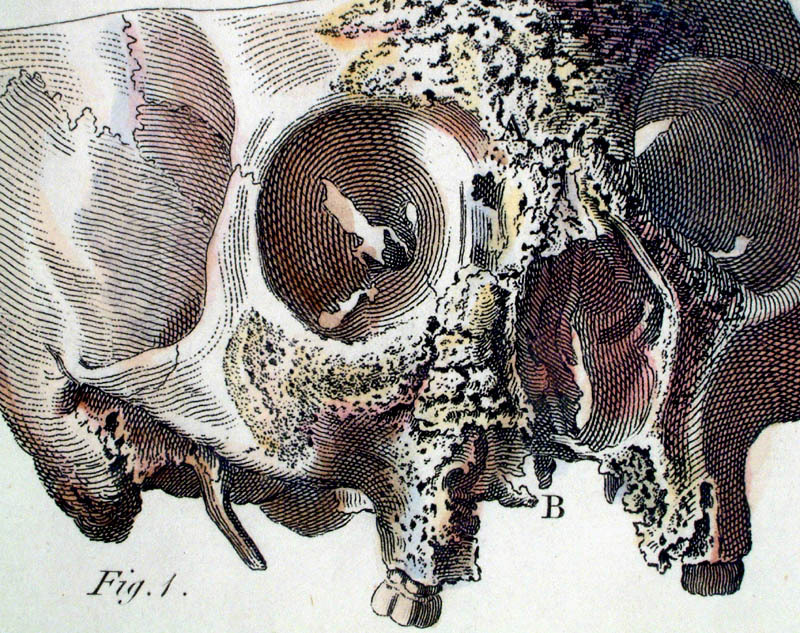 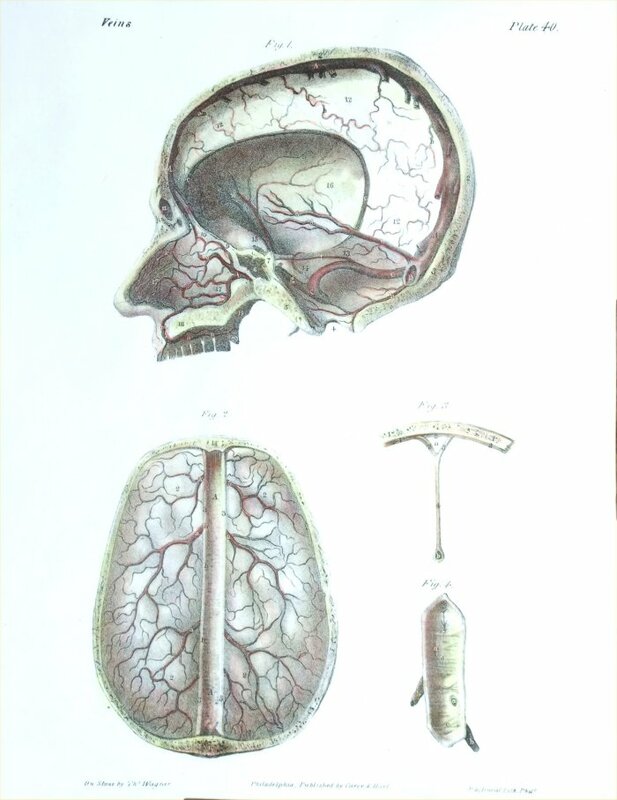 Lithograph on stone by A. Hoffy for P.S. 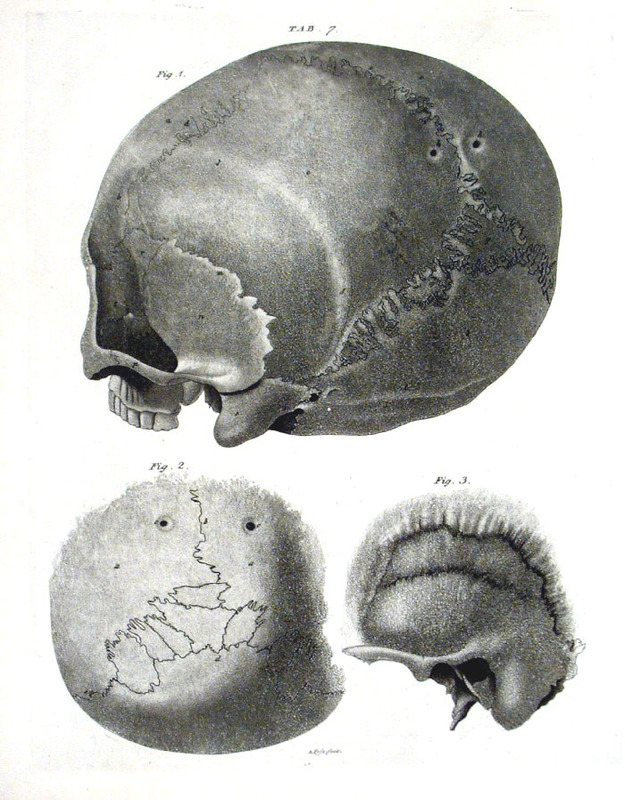 Duval, Phil. 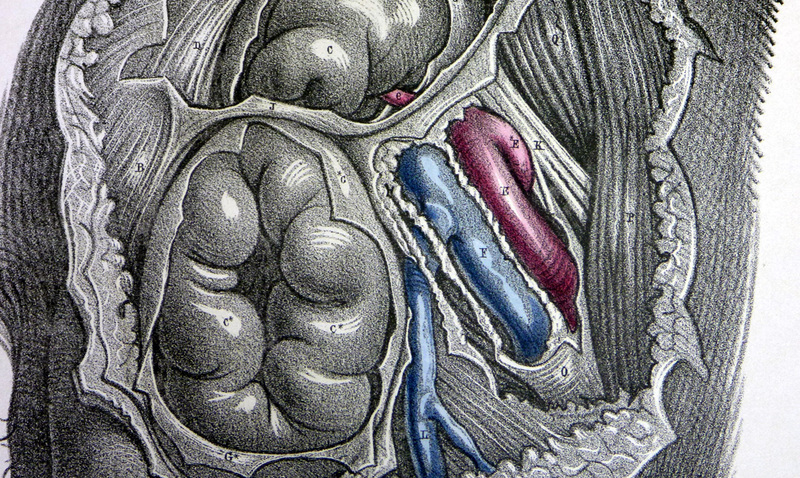 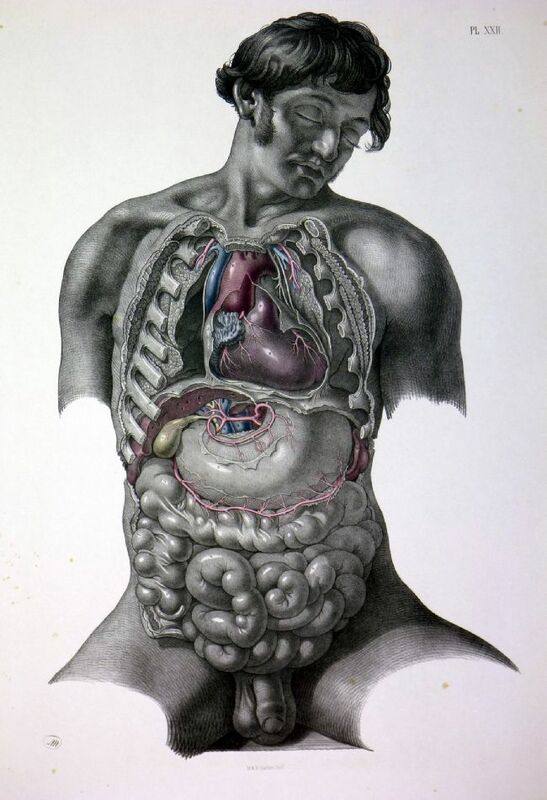 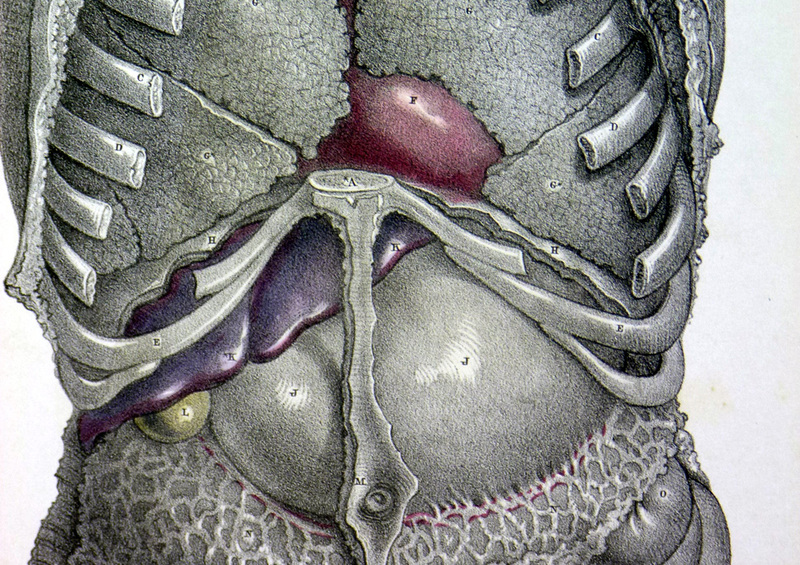 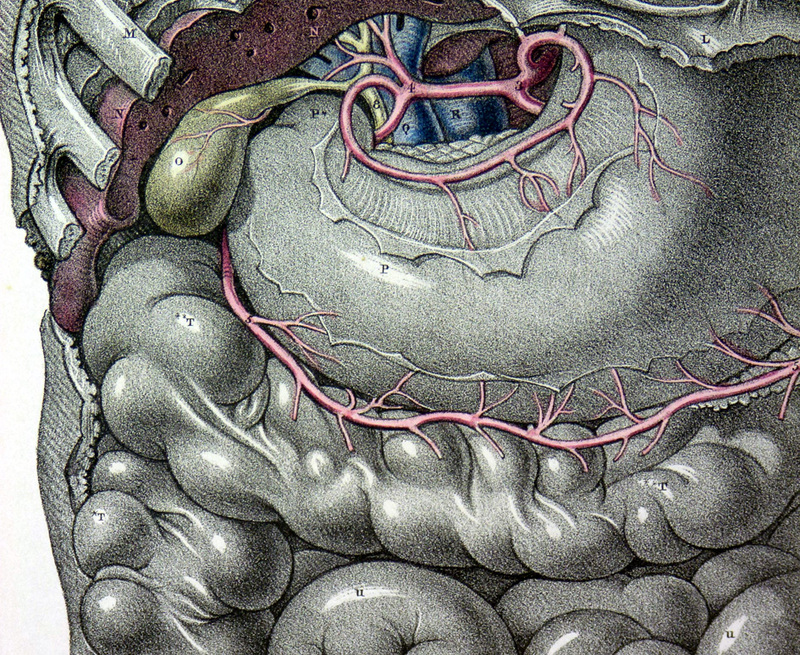 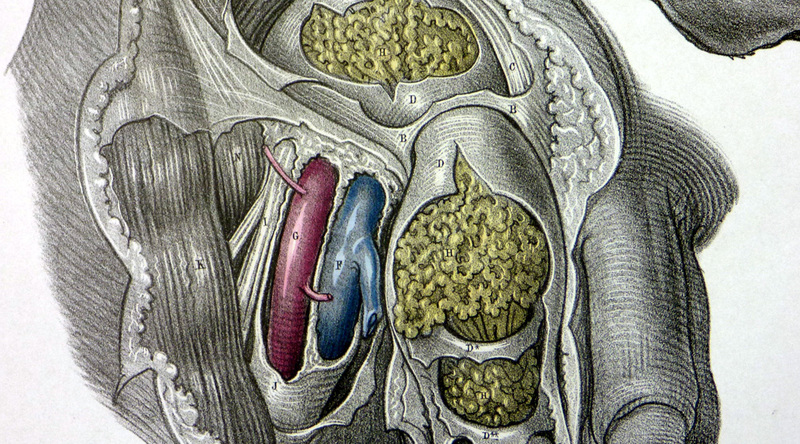 The Abdominal Viscera of a Young Adult. 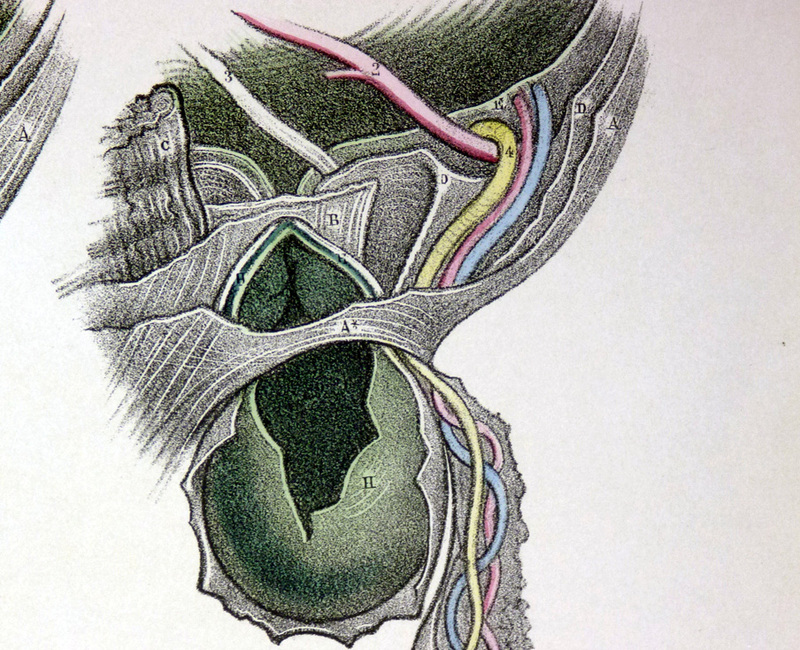 Surgery - growth from groin area.